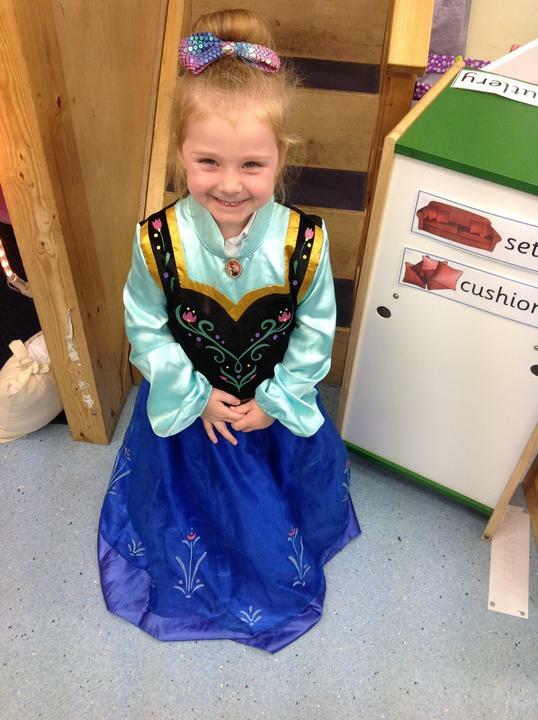 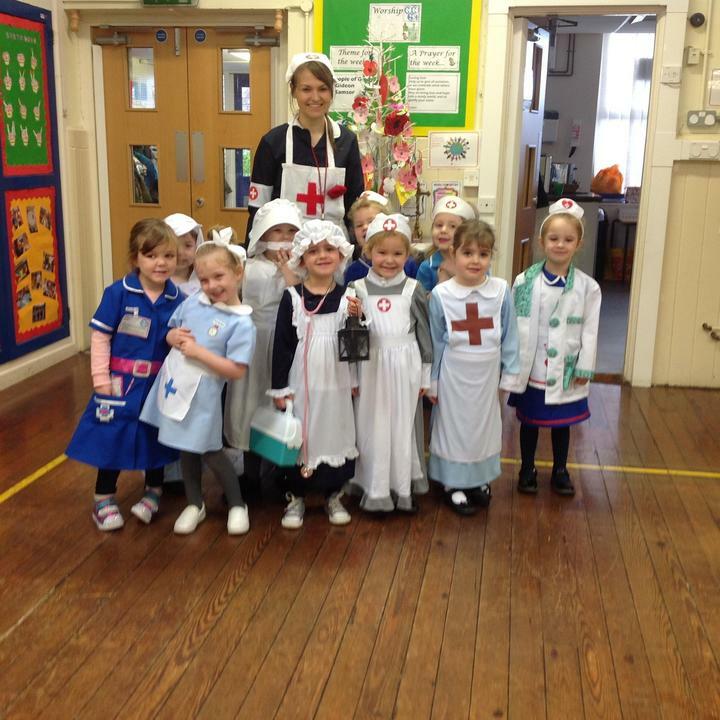 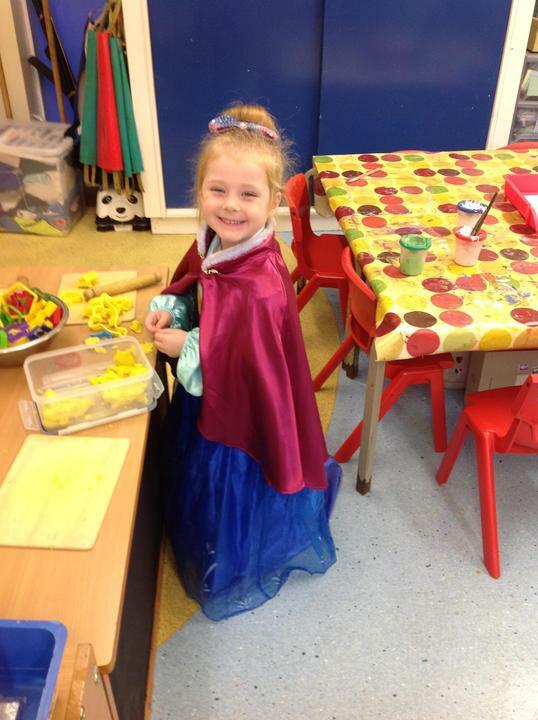 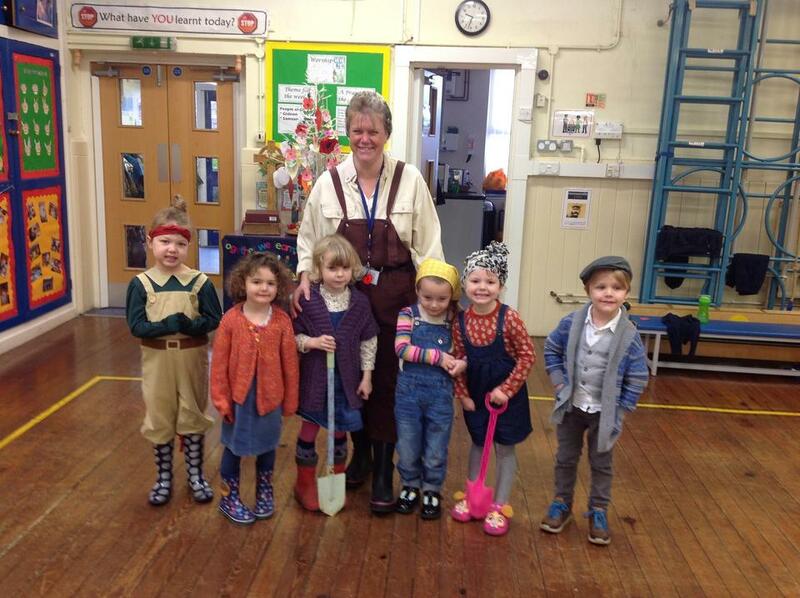 World Book Day 2019 - Reception enjoyed dressing up in their favourite colours. 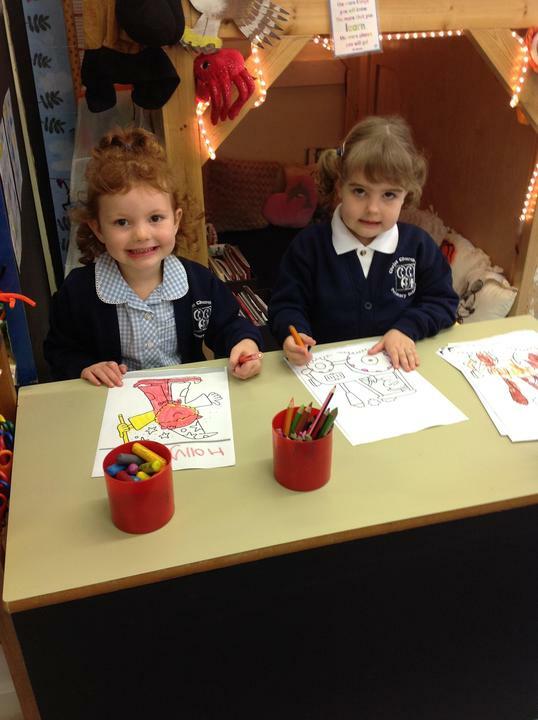 We read 'The day the crayons quit' by Drew Daywalt and we wrote letters back to the crayons to persuade them to come back to our classroom. 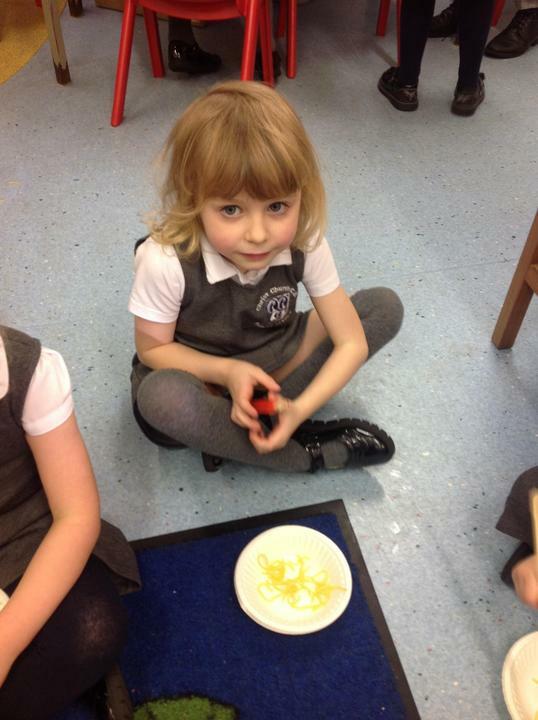 Then we ended the day by making colourful fruit salads and listening to some stories on the carpet. 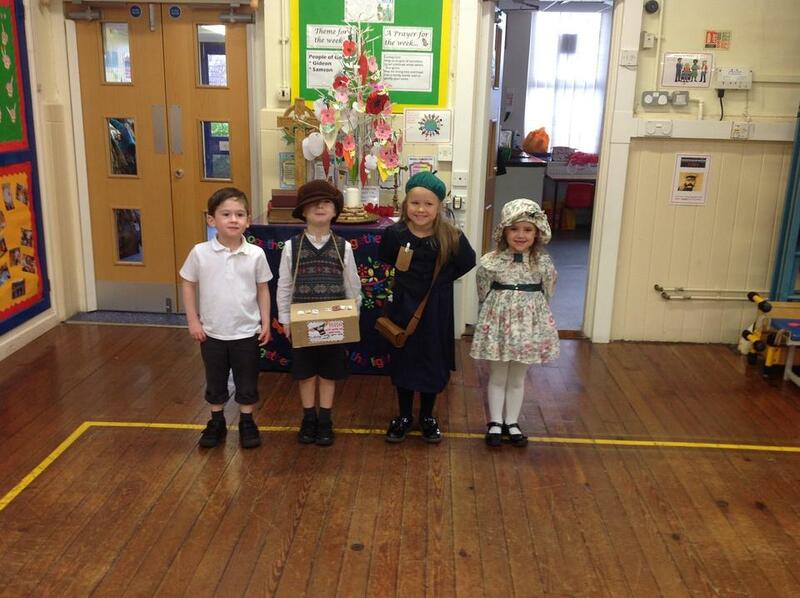 Here are some photographs from World Book Day 2019! 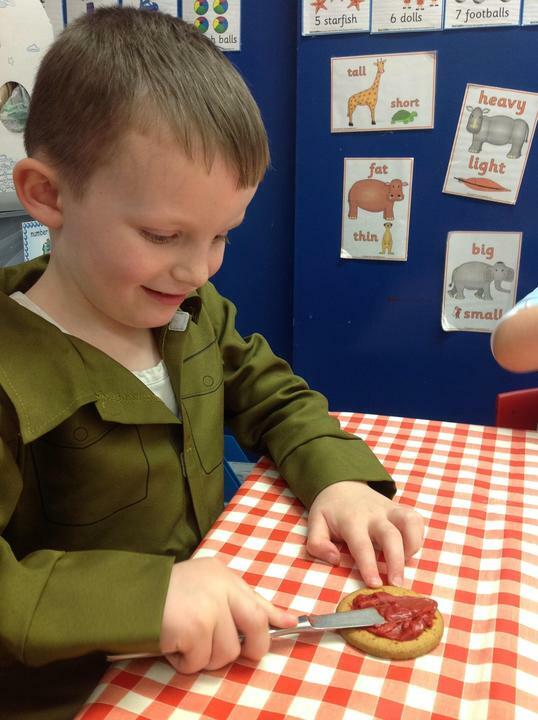 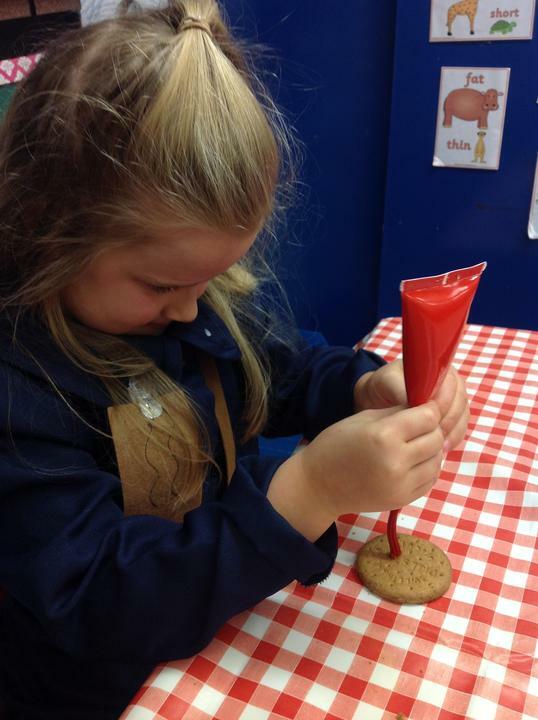 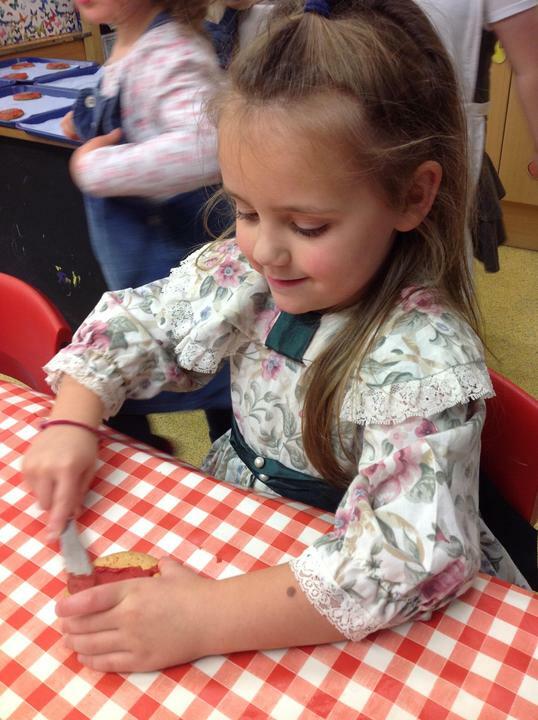 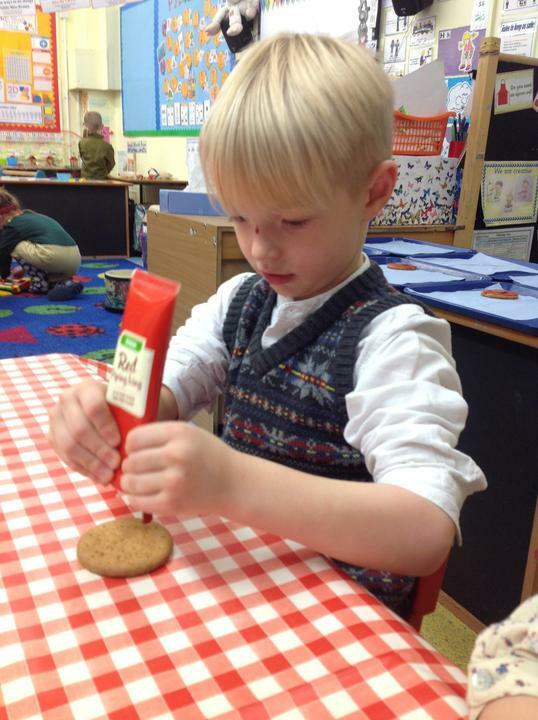 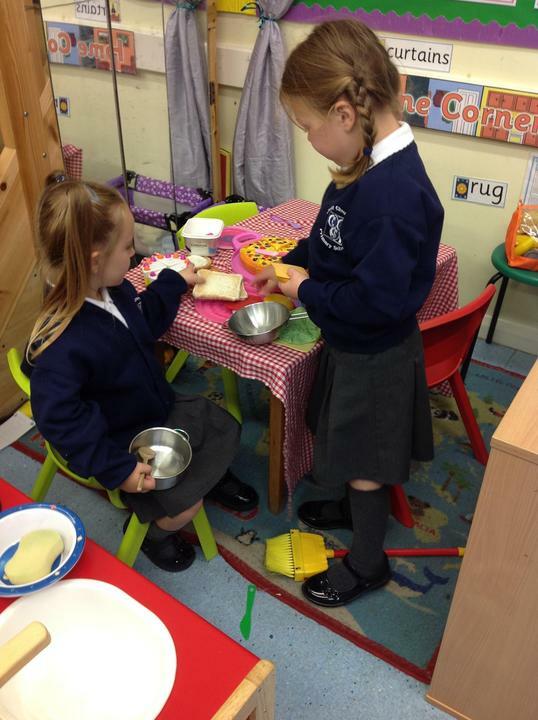 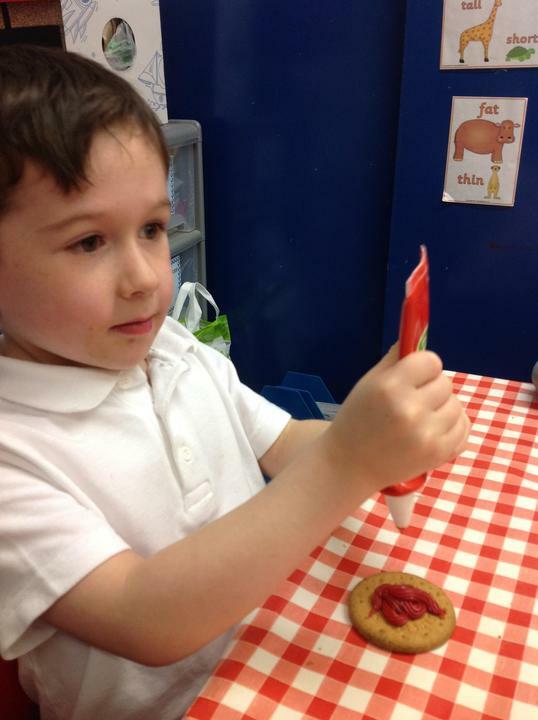 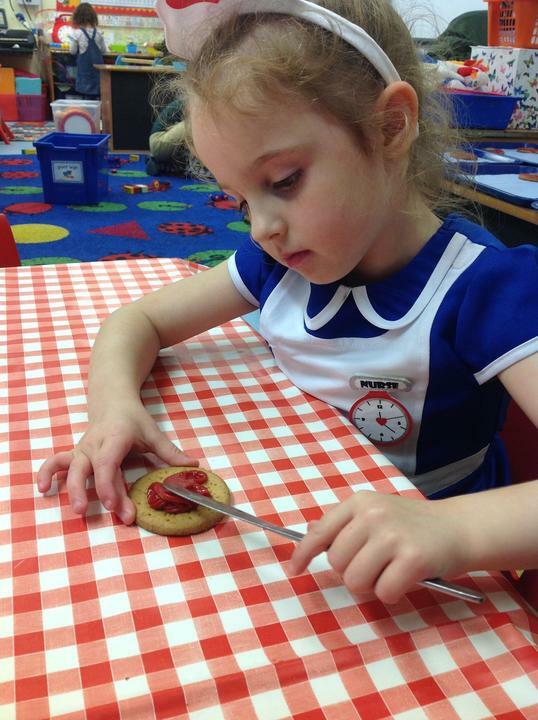 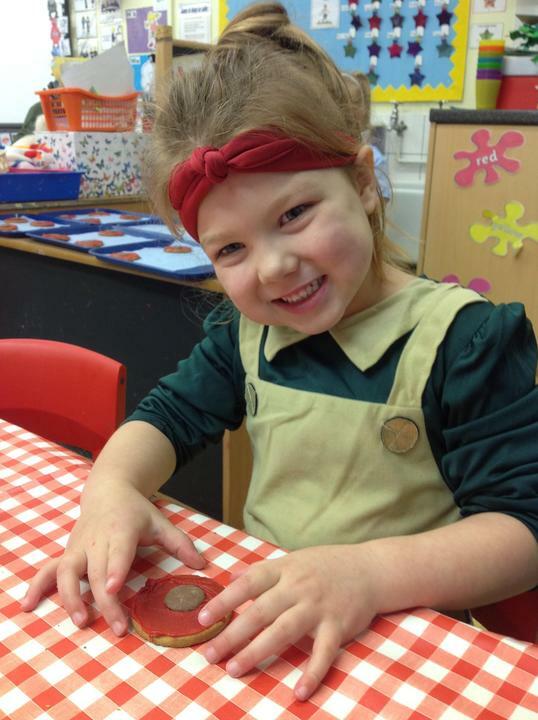 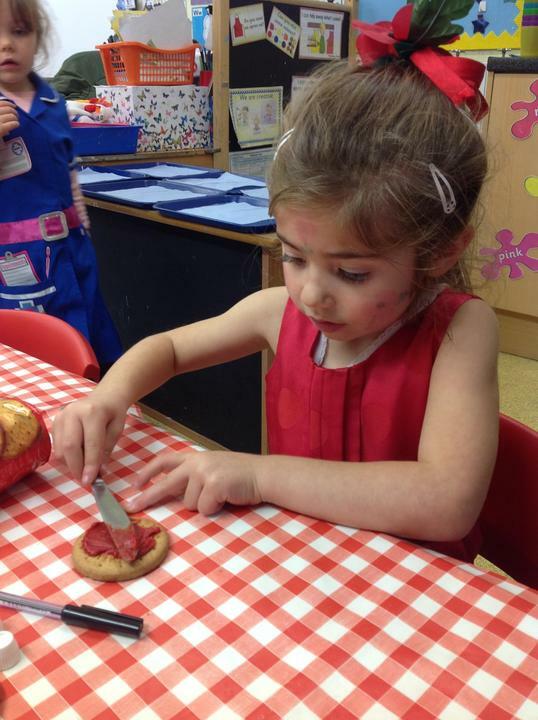 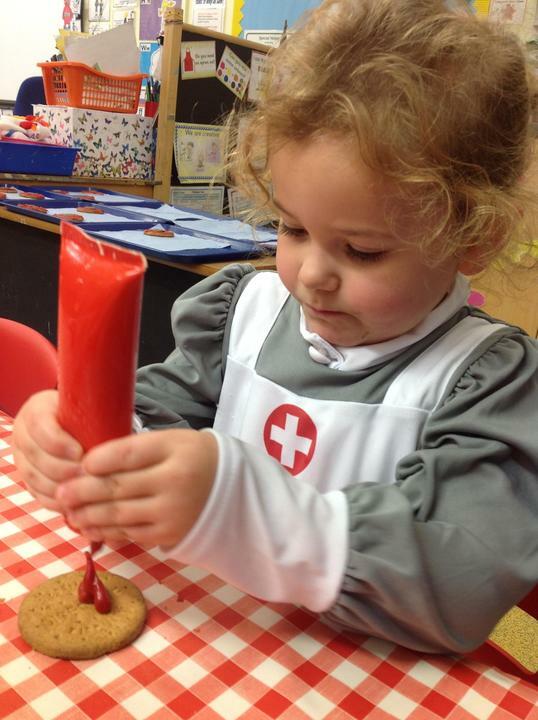 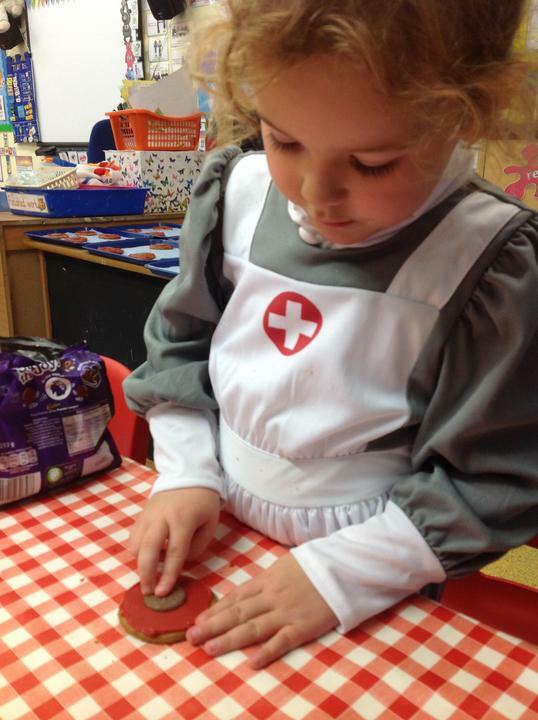 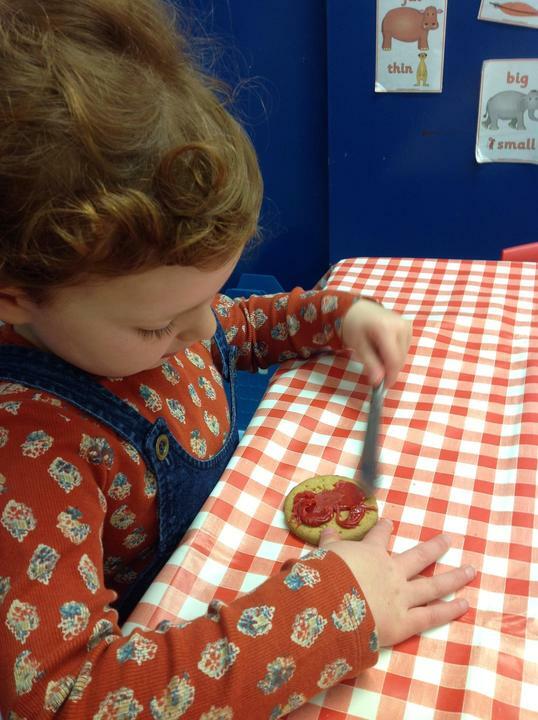 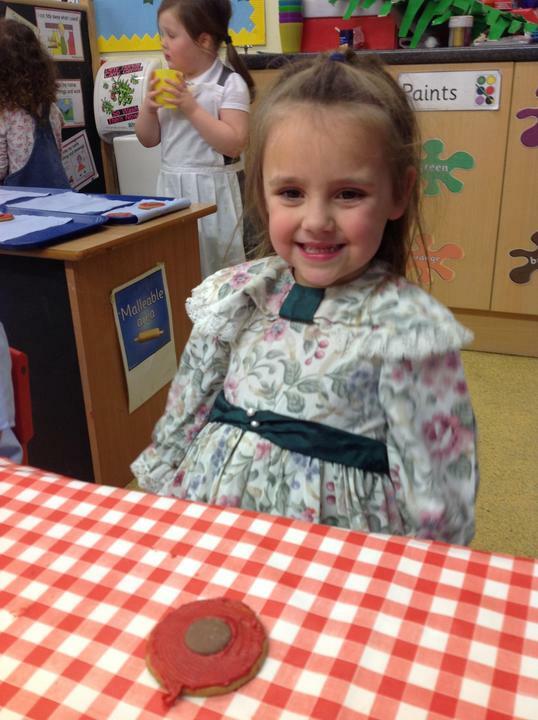 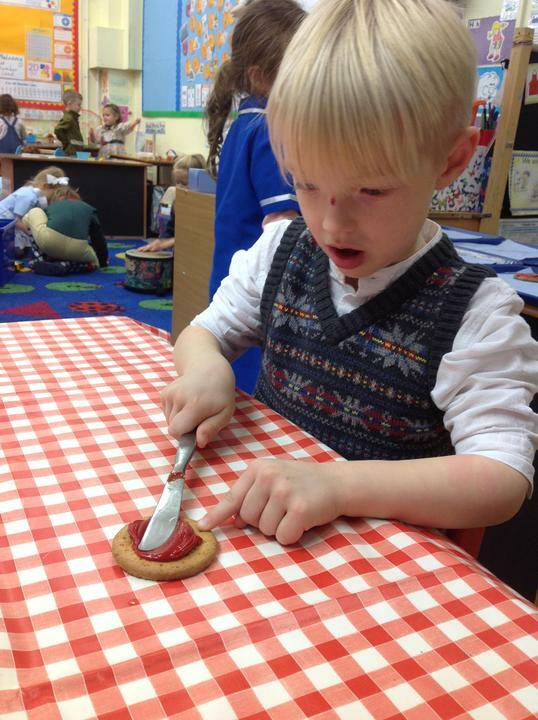 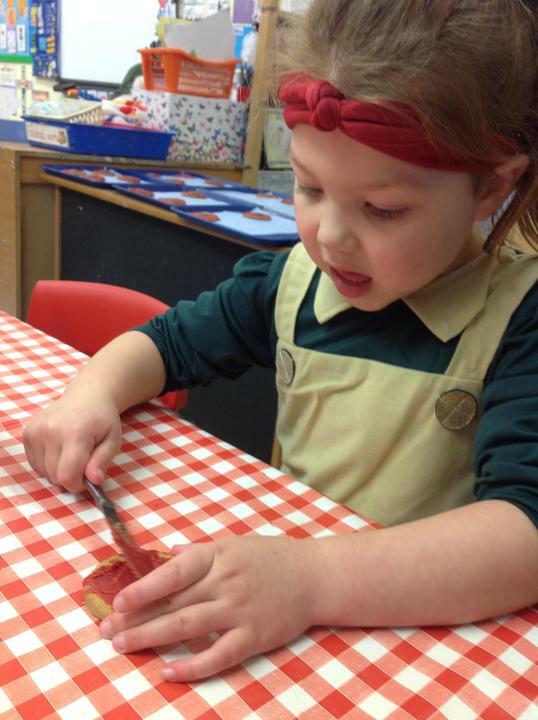 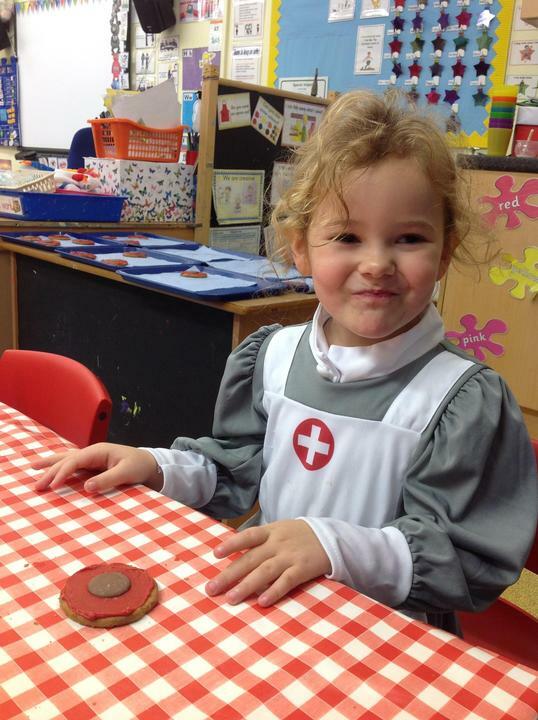 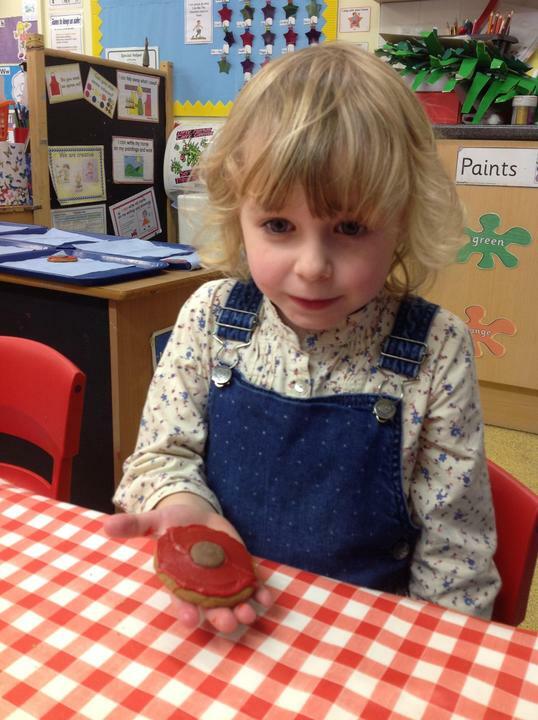 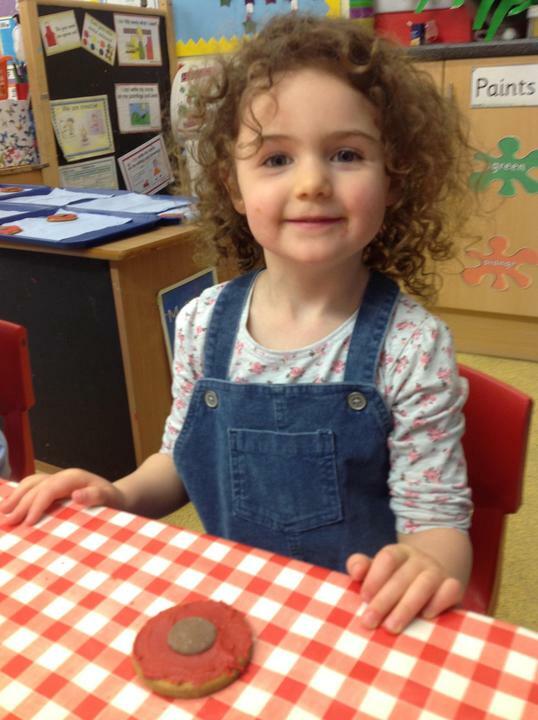 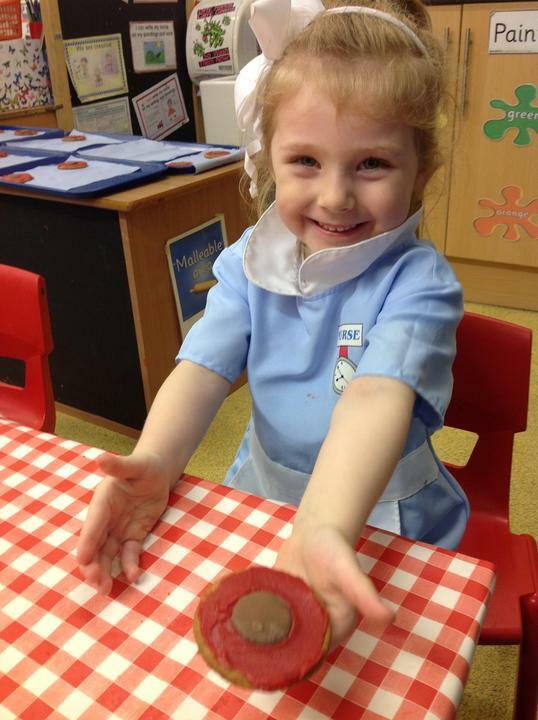 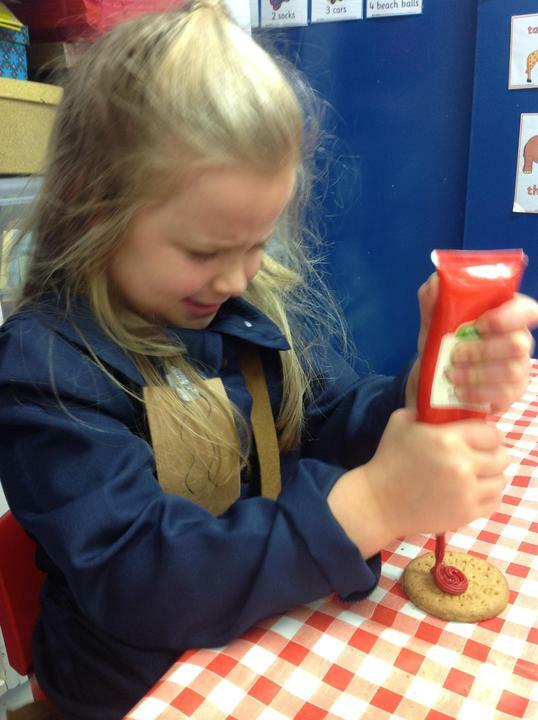 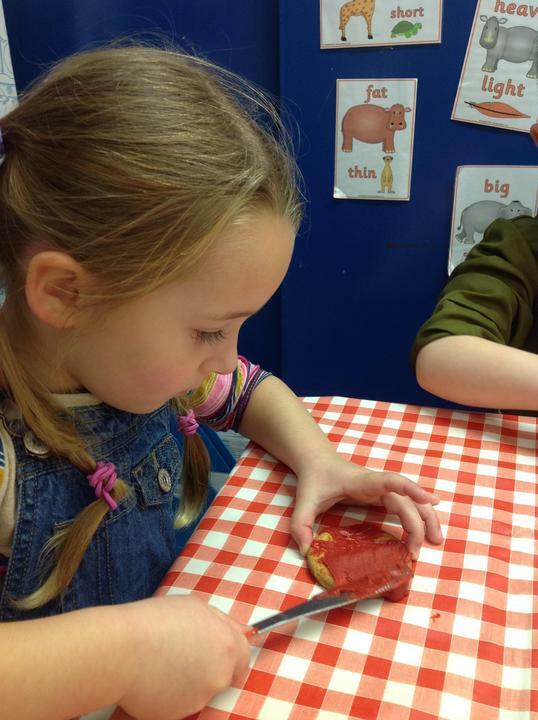 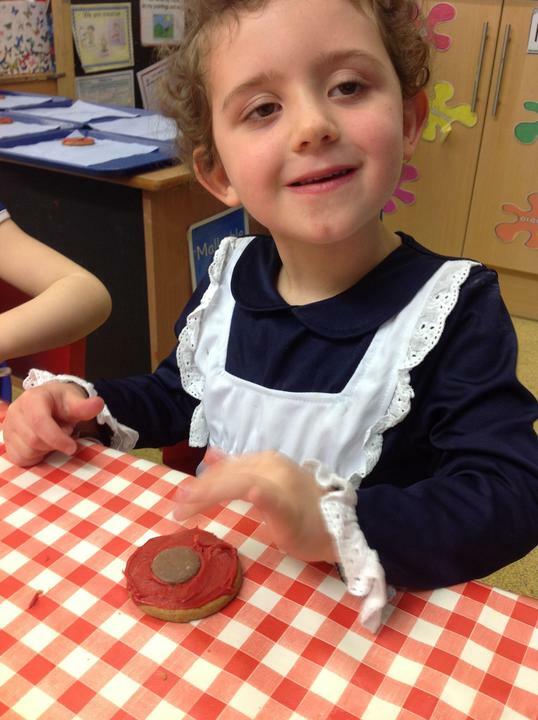 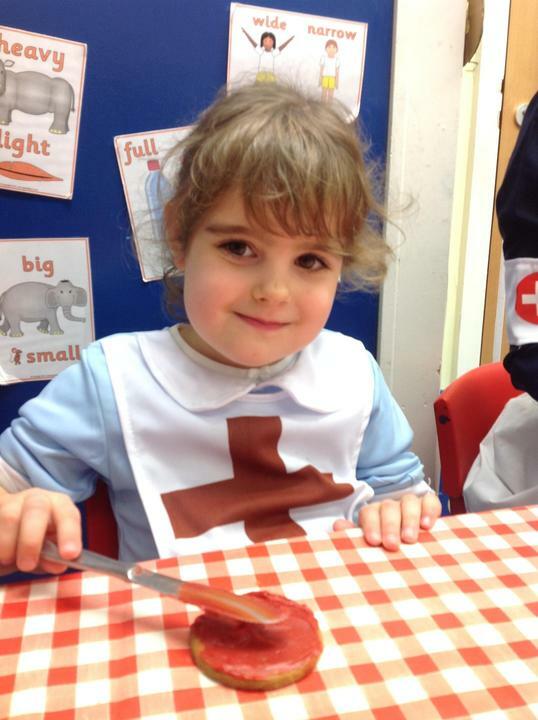 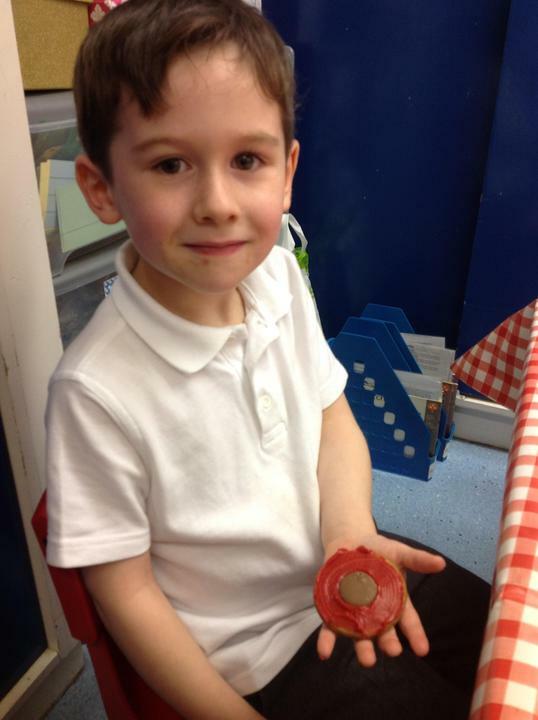 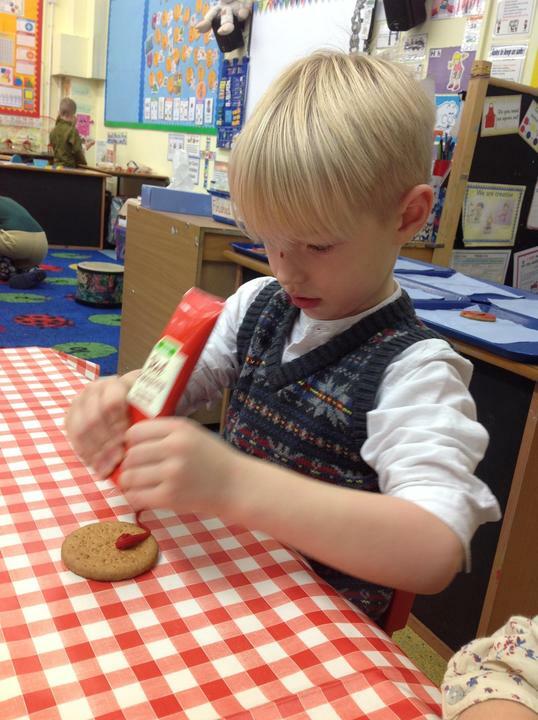 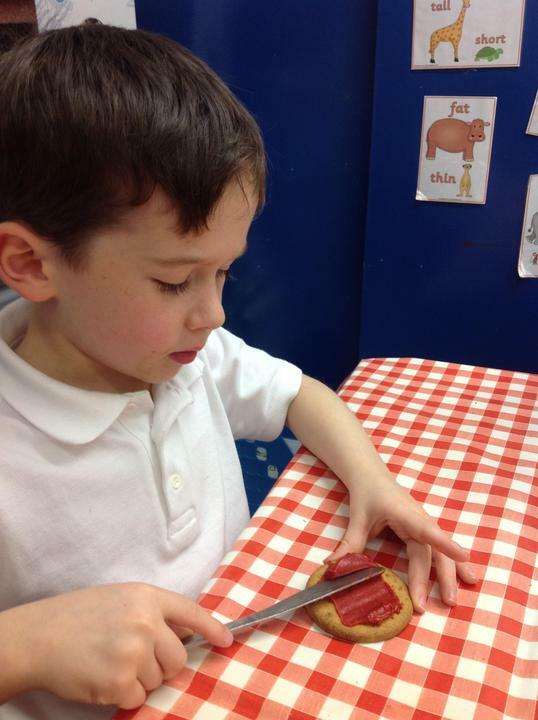 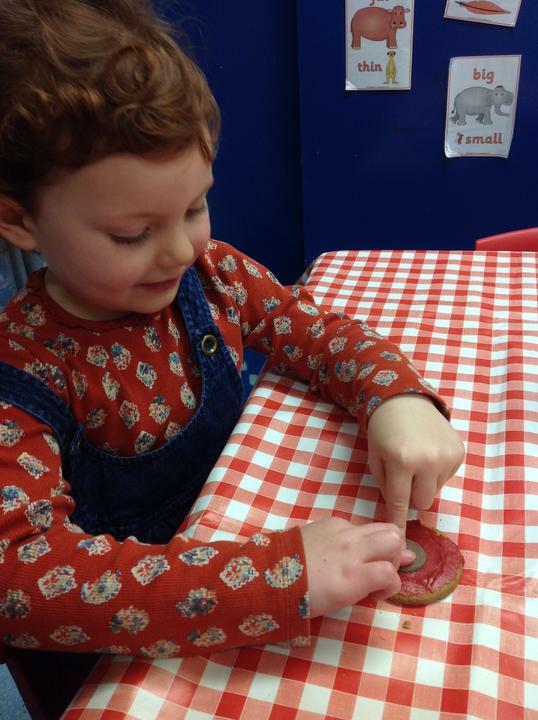 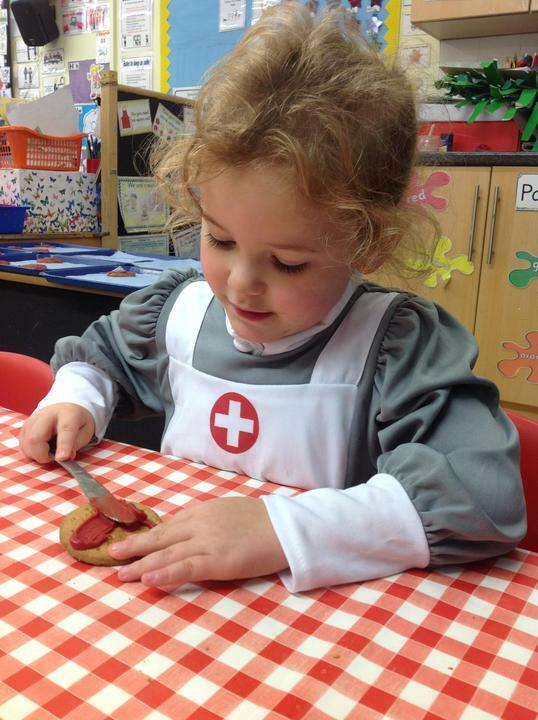 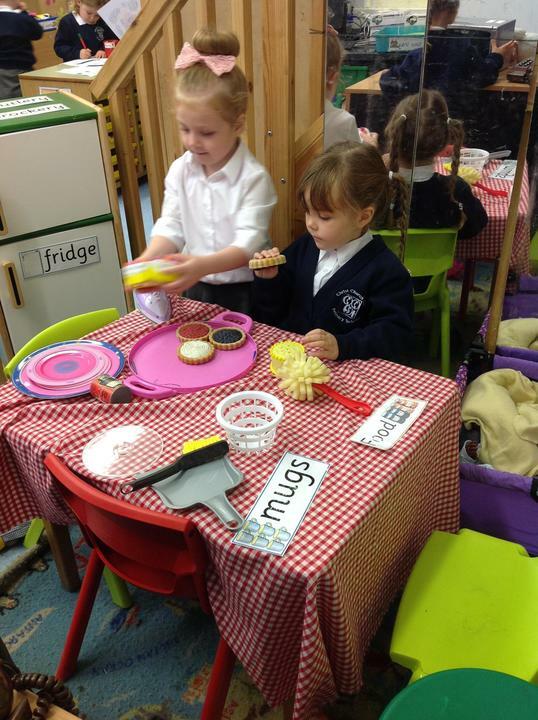 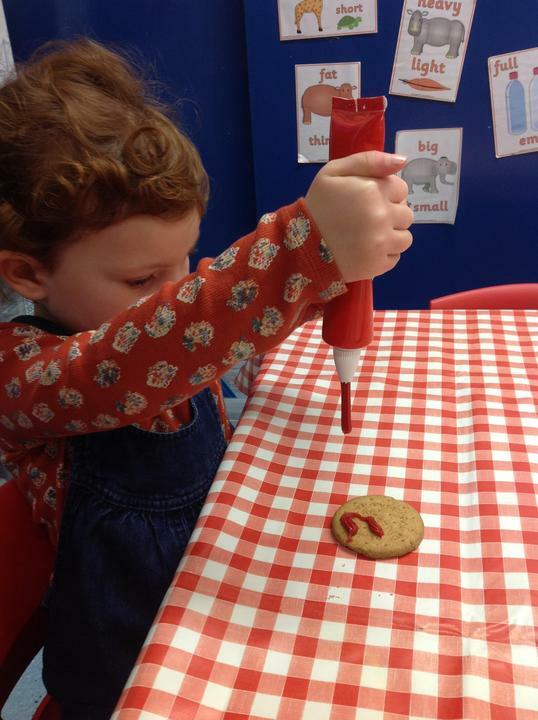 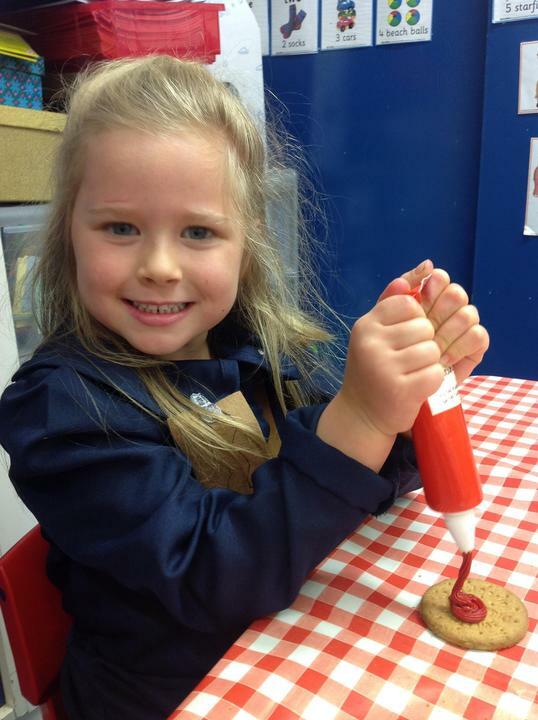 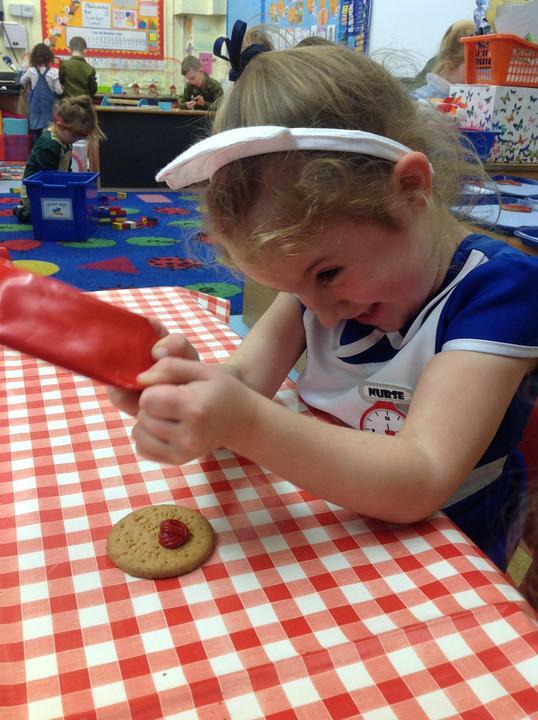 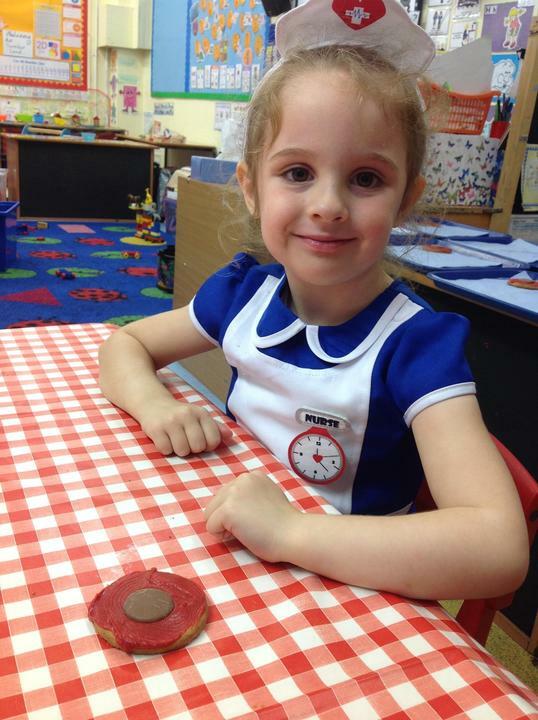 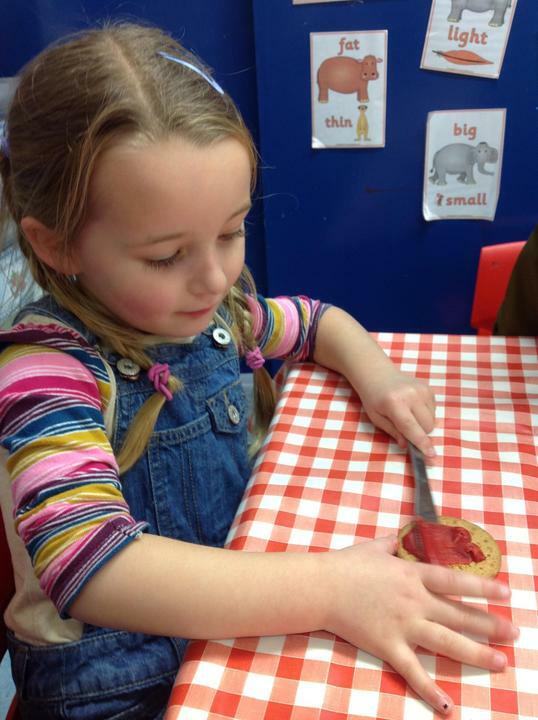 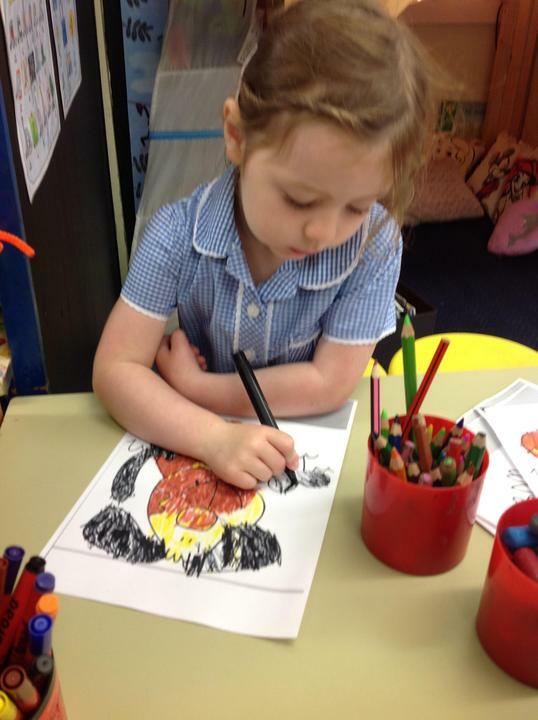 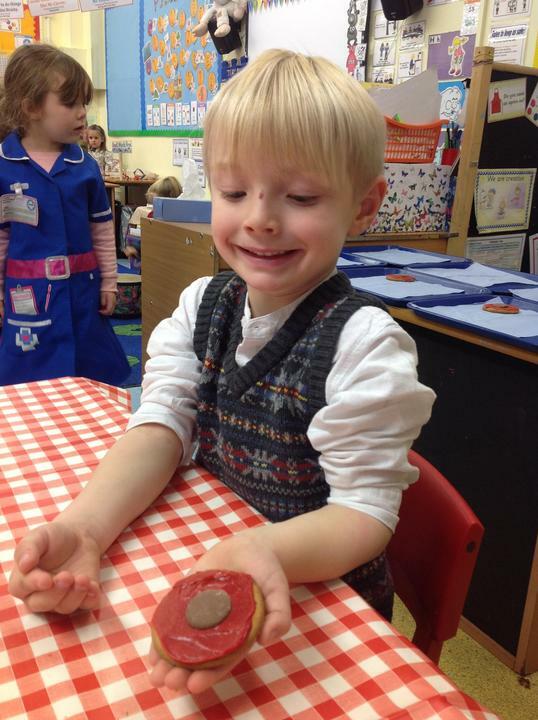 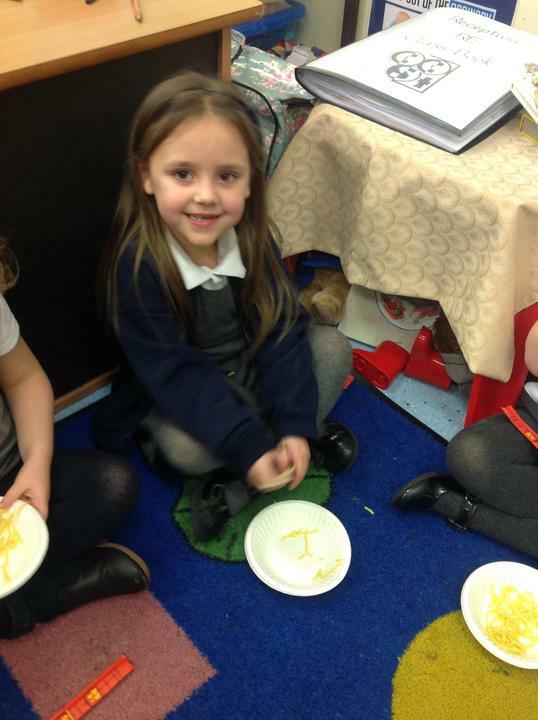 Shrove Tuesday - Reception enjoyed learning about Shrove Tuesday and tasting pancakes! 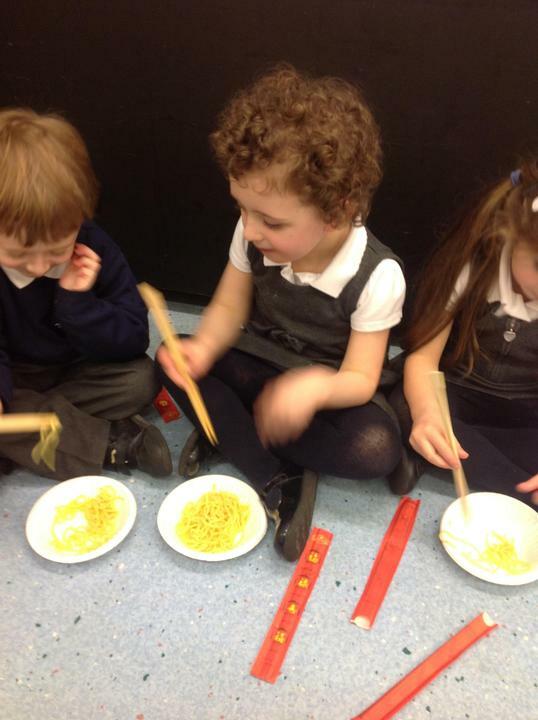 Counting in 2's using chopsticks. 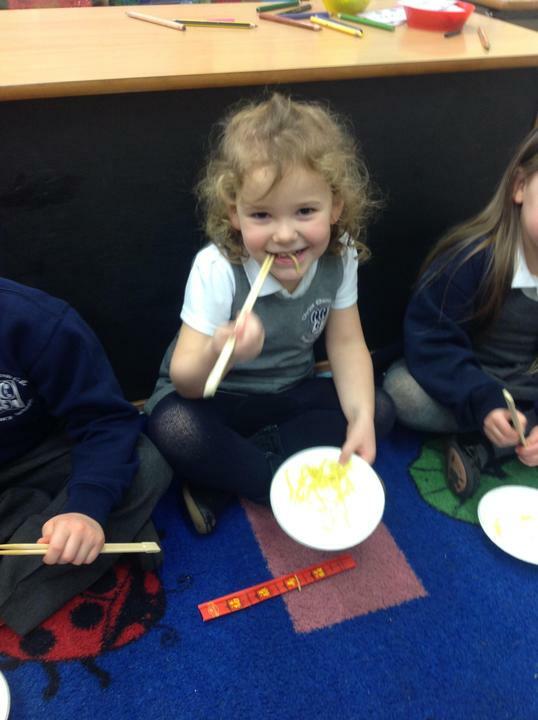 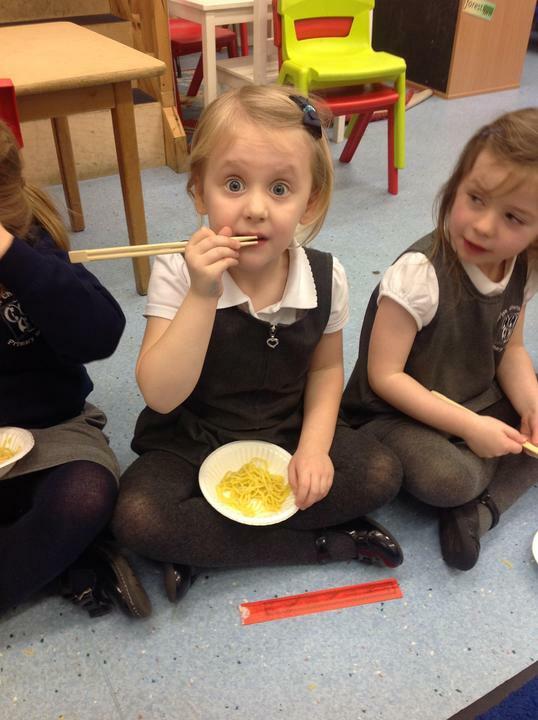 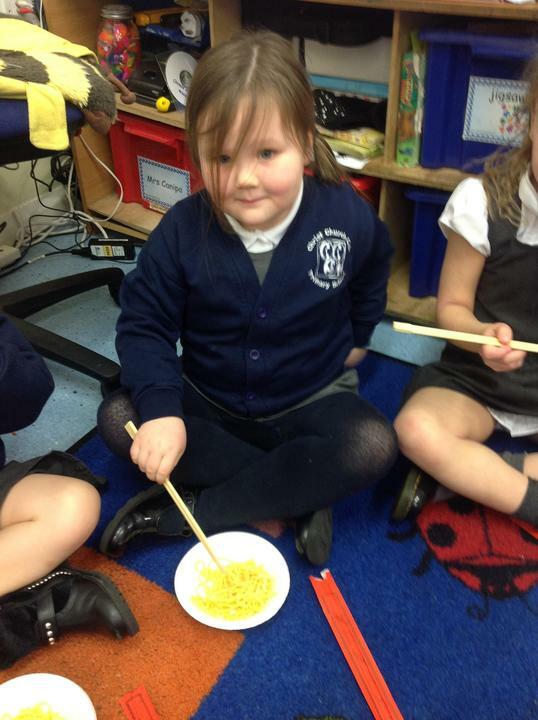 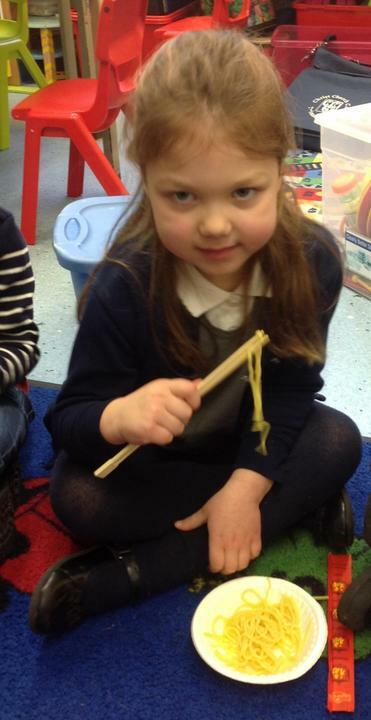 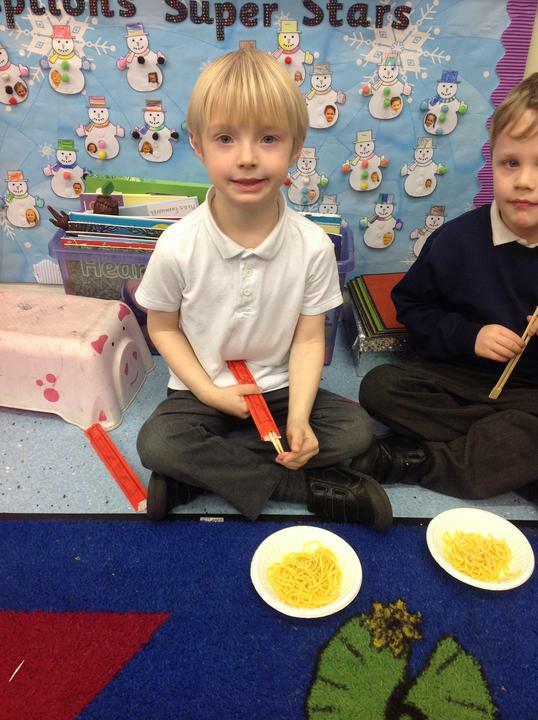 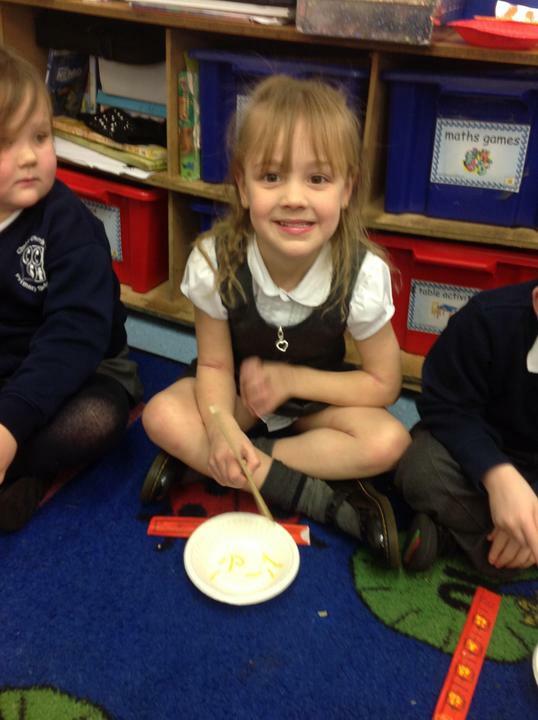 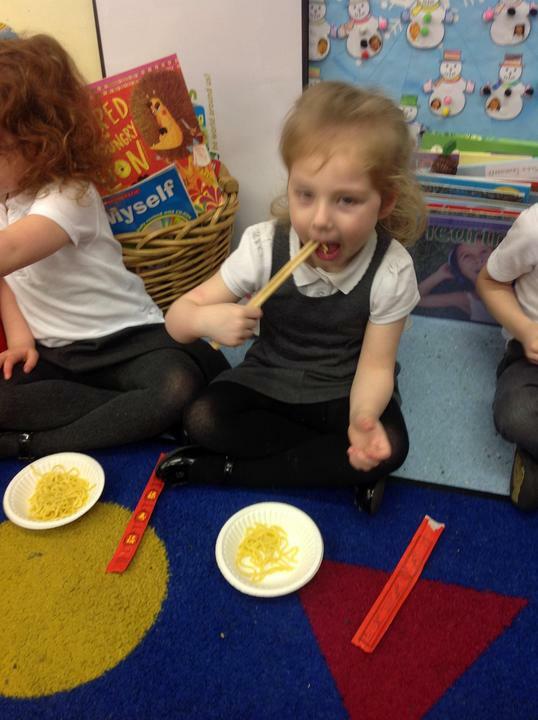 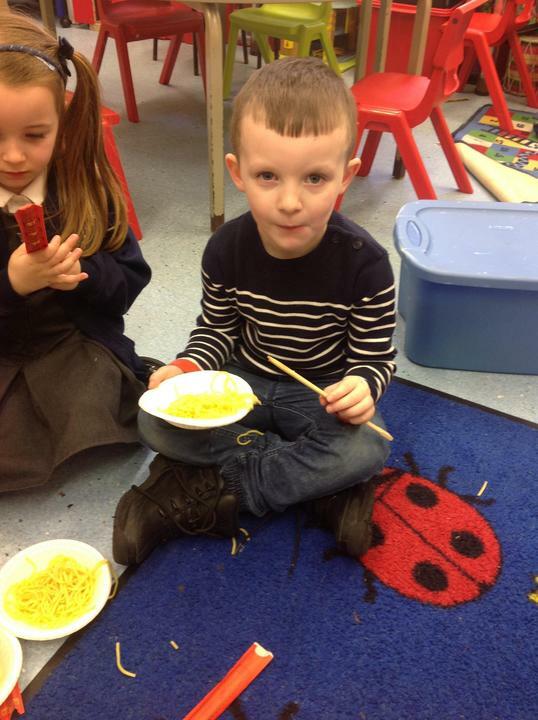 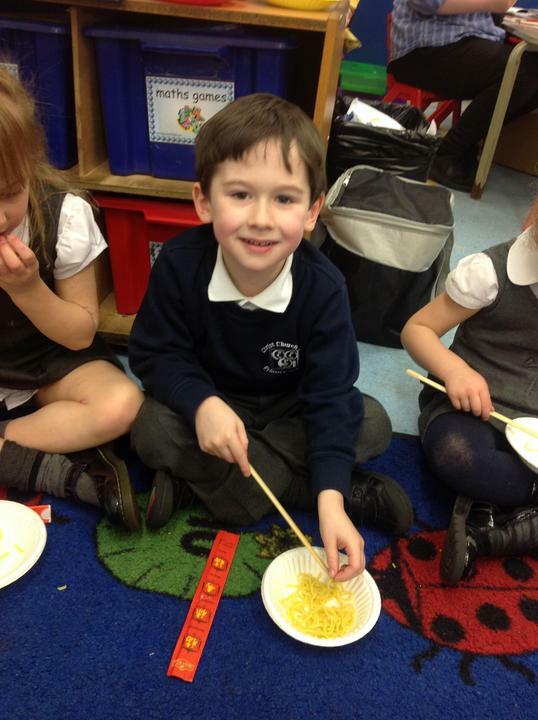 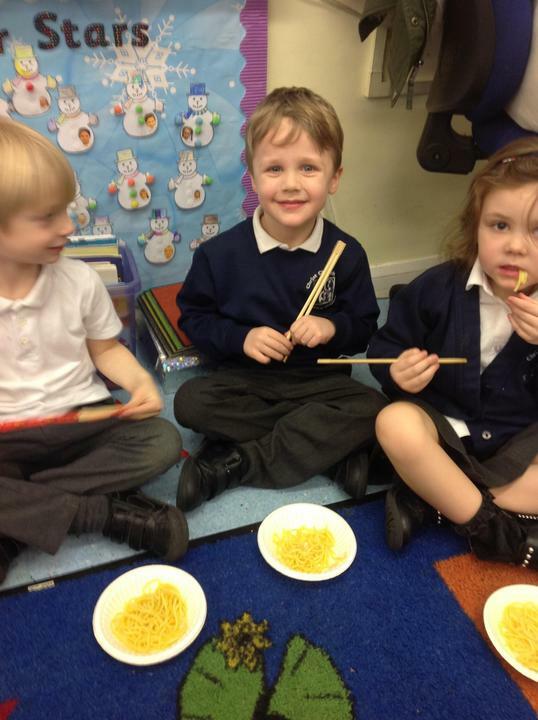 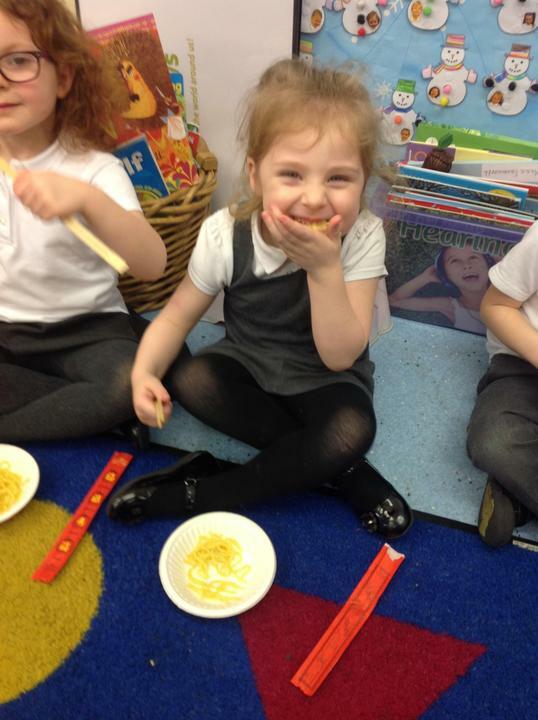 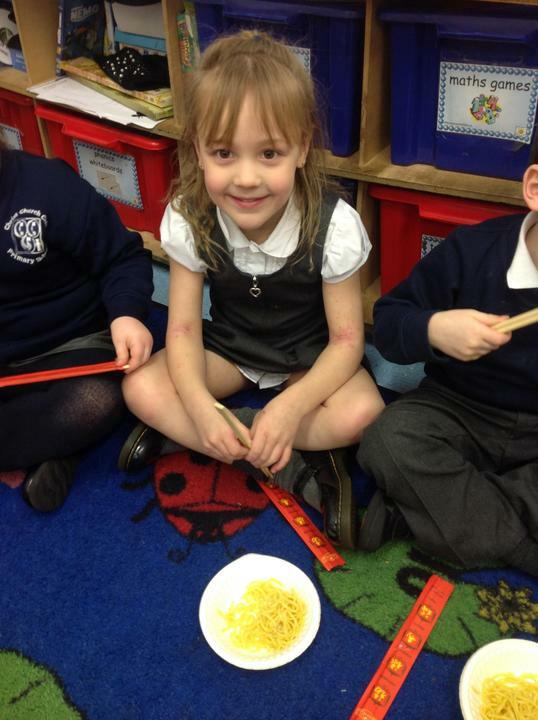 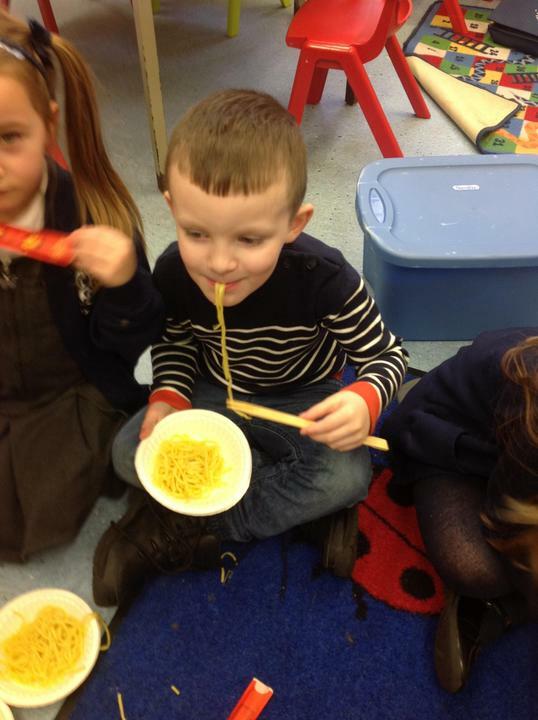 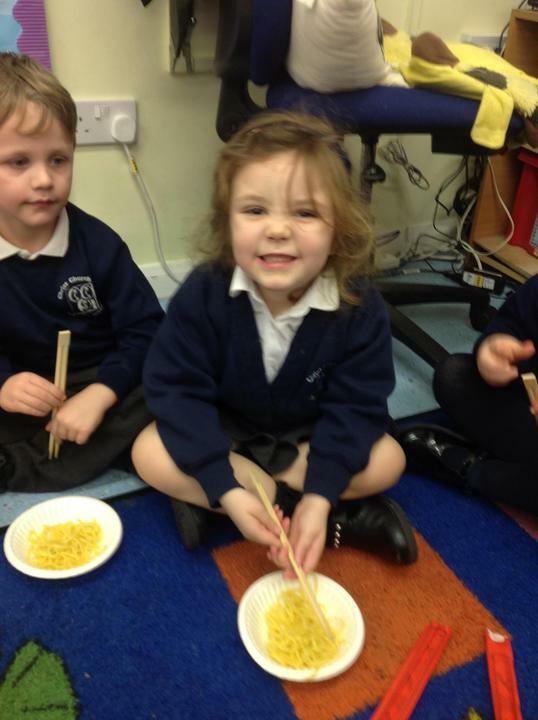 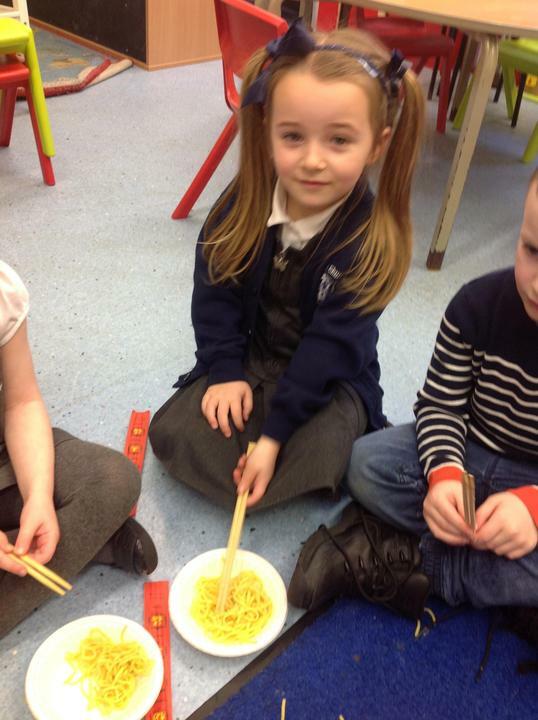 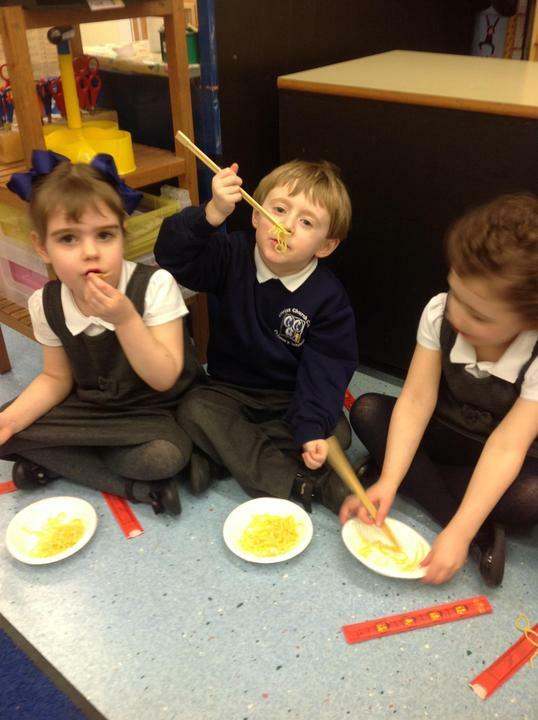 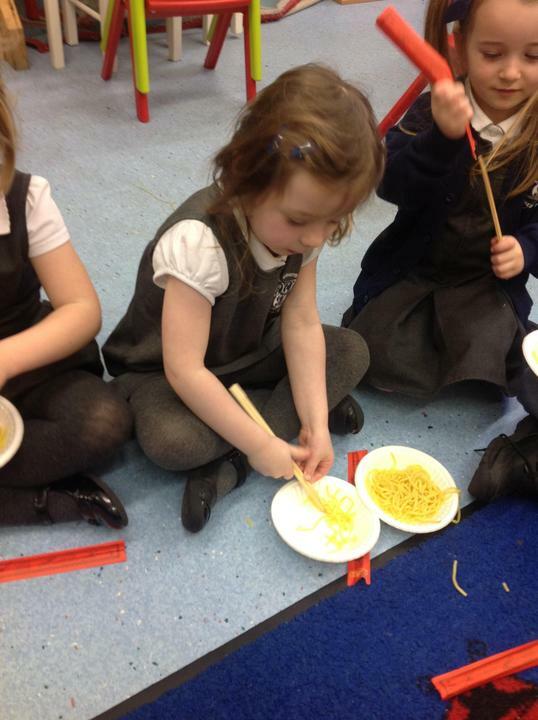 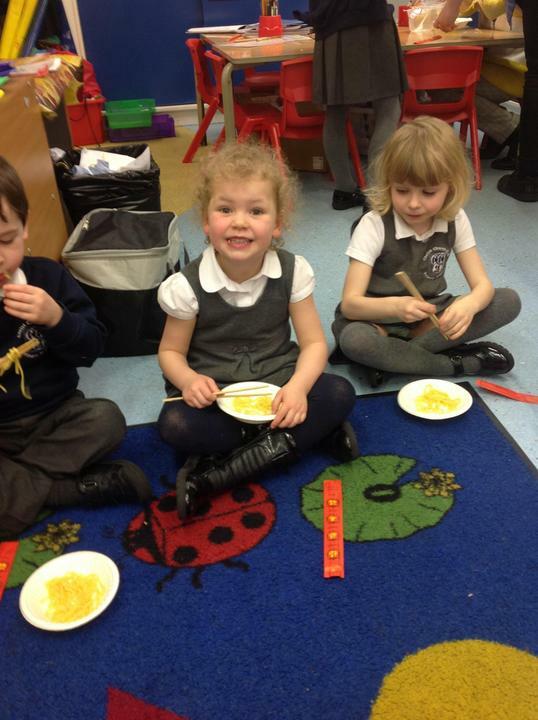 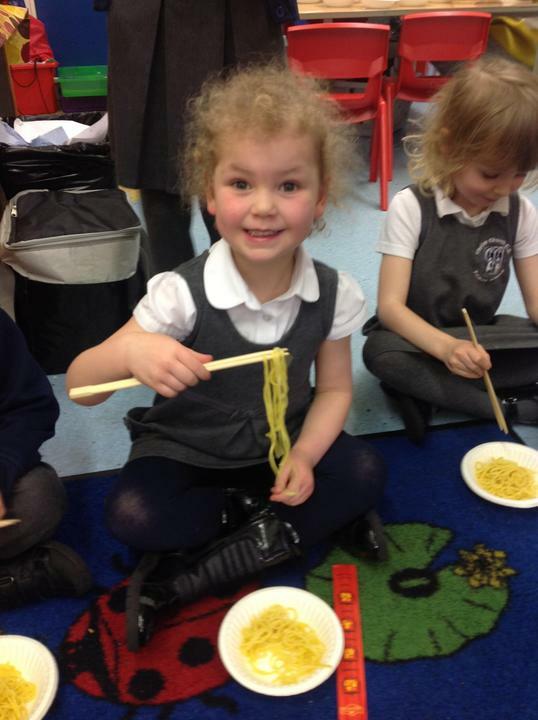 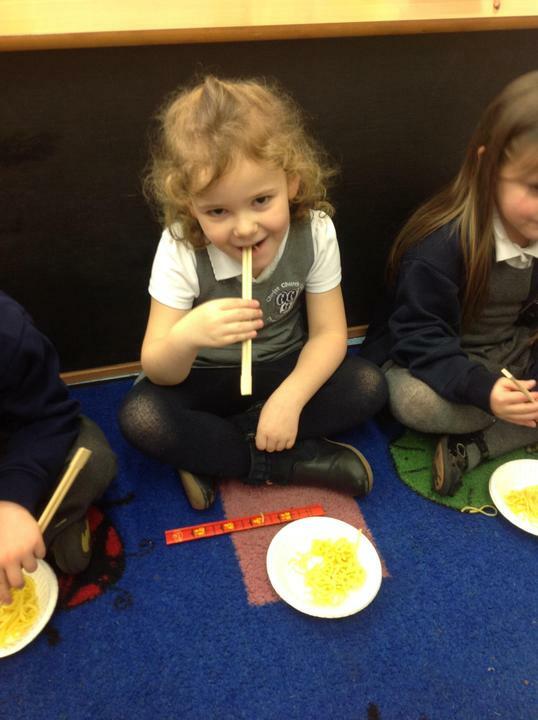 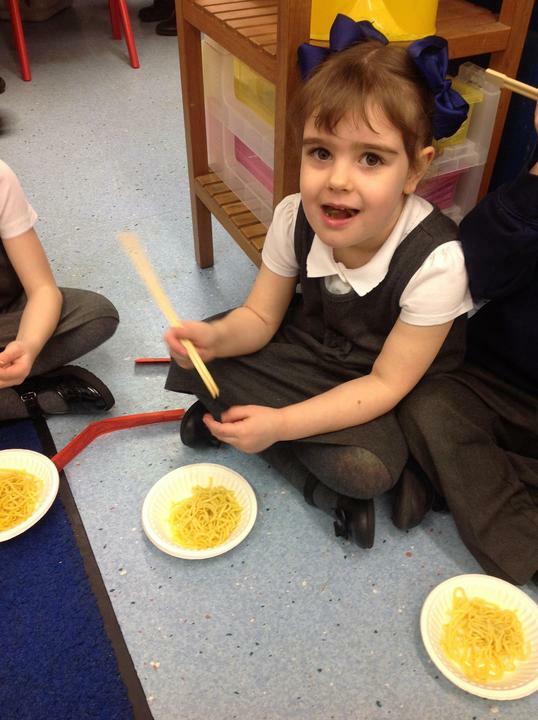 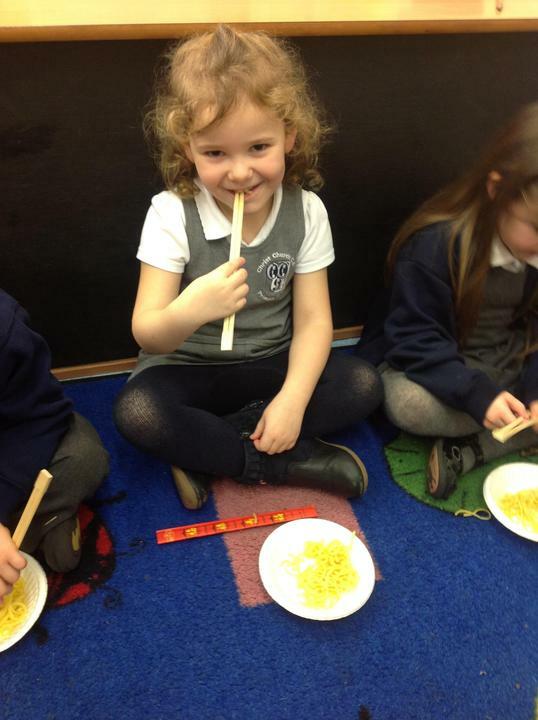 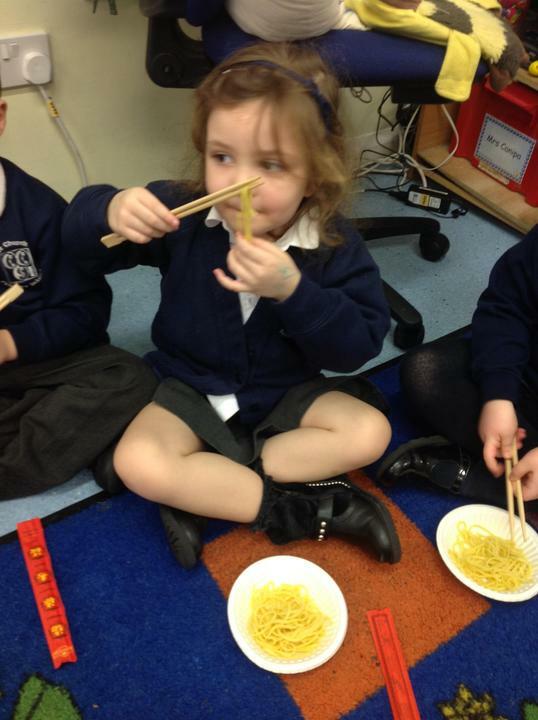 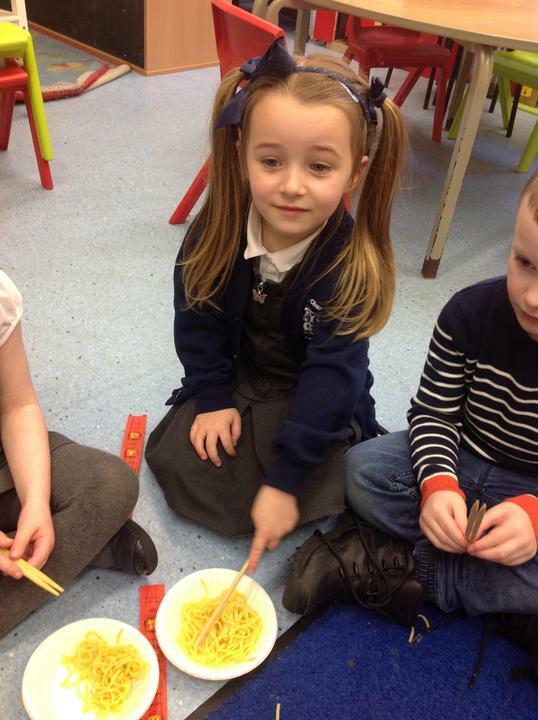 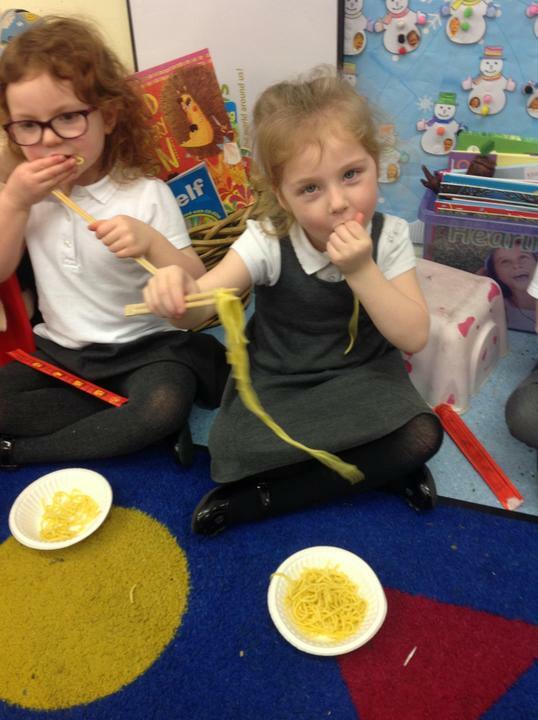 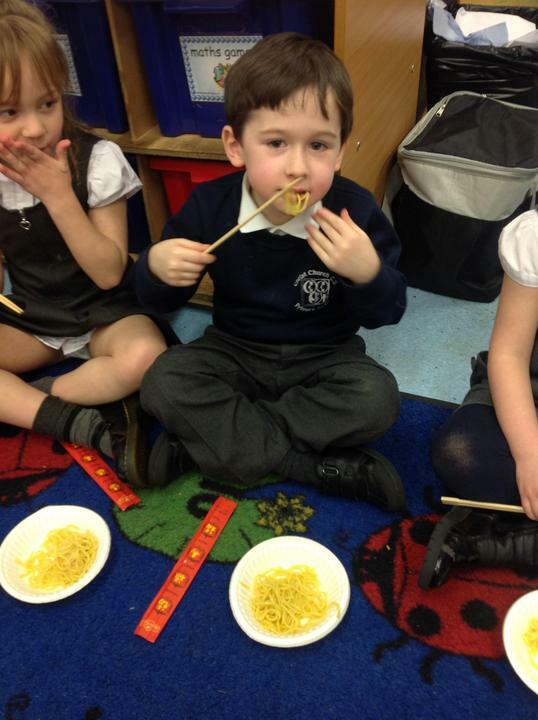 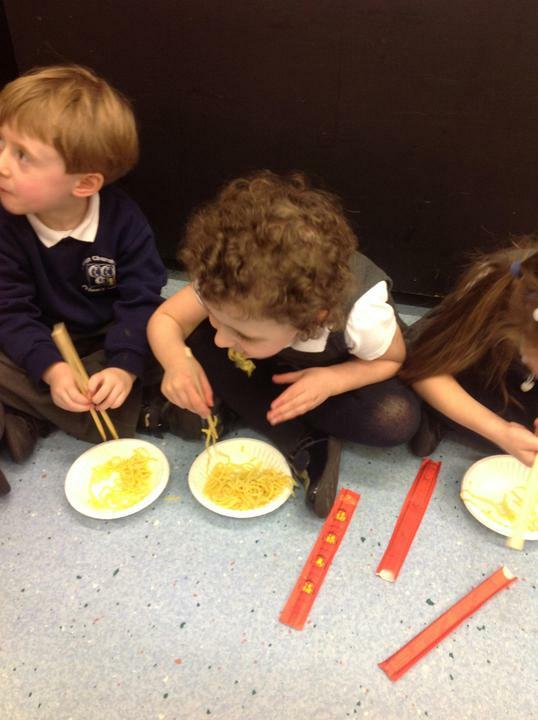 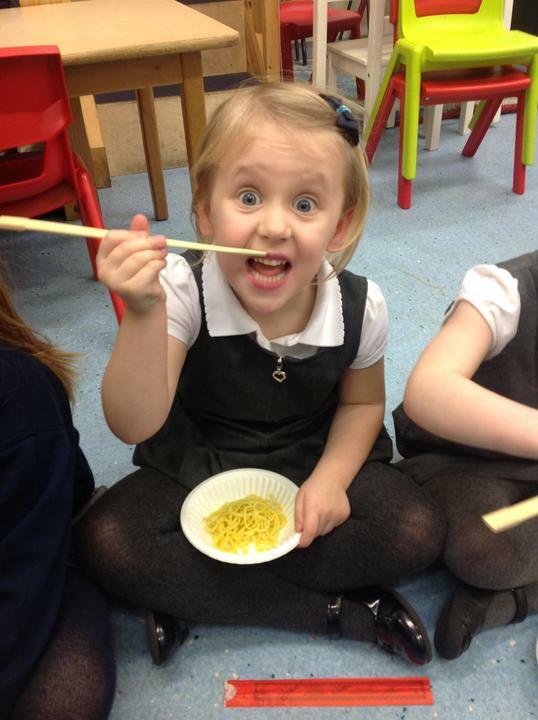 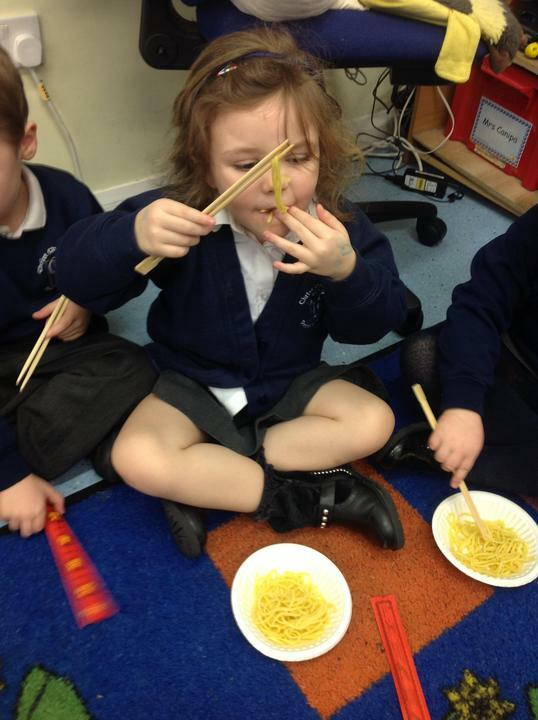 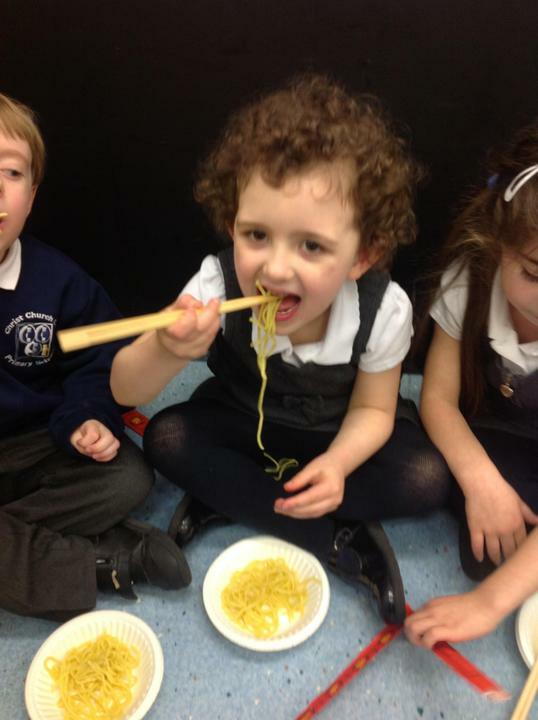 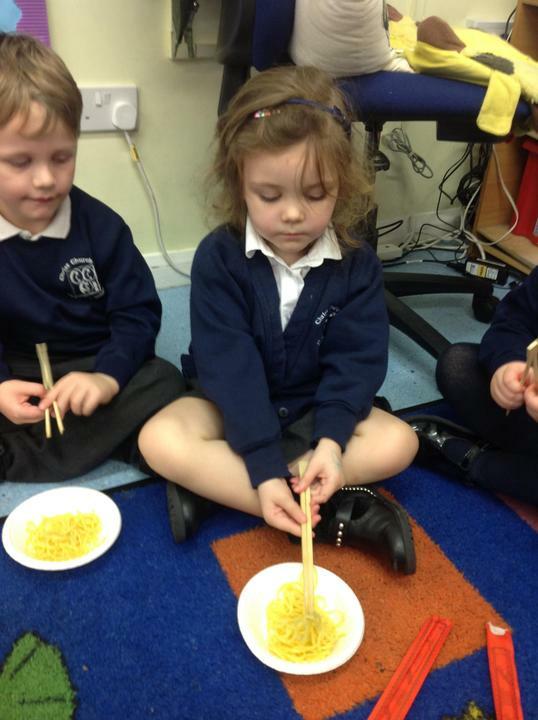 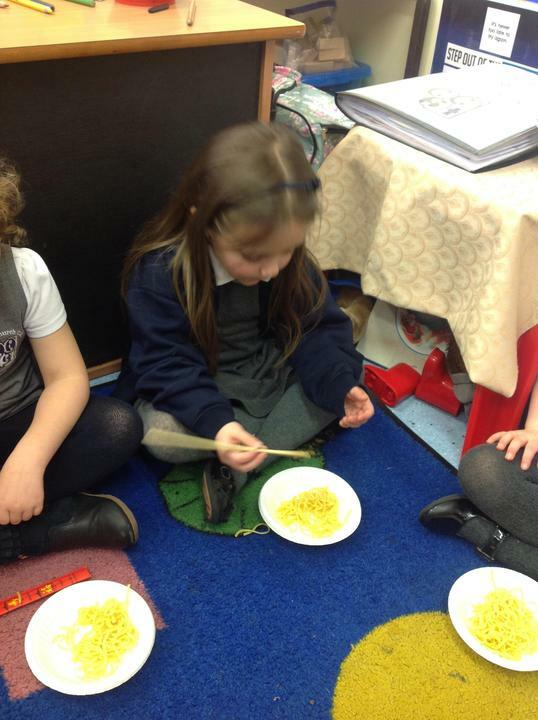 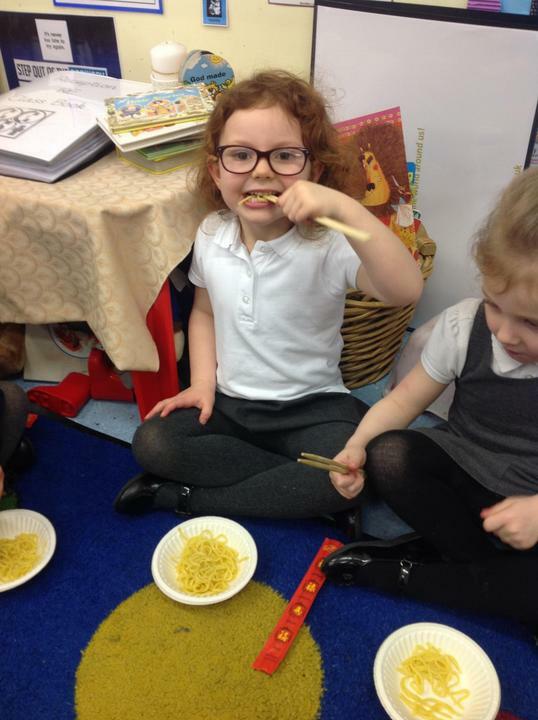 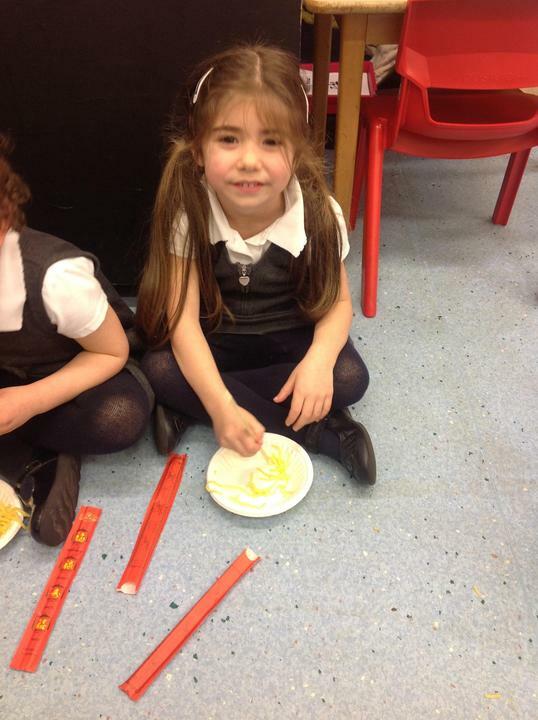 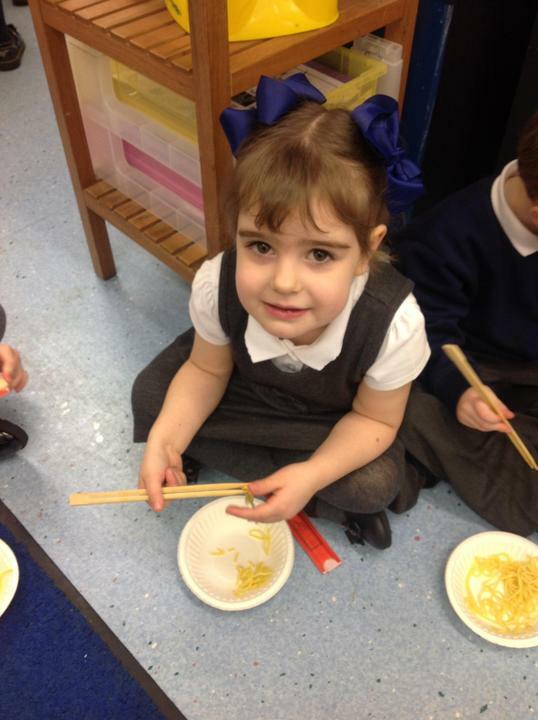 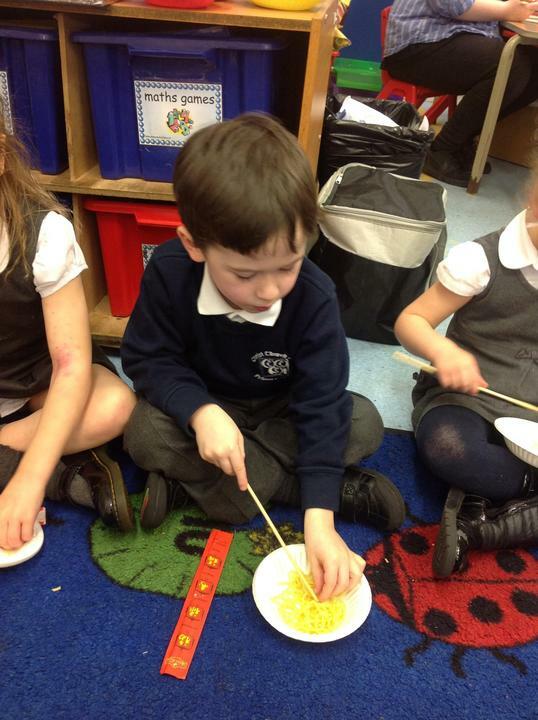 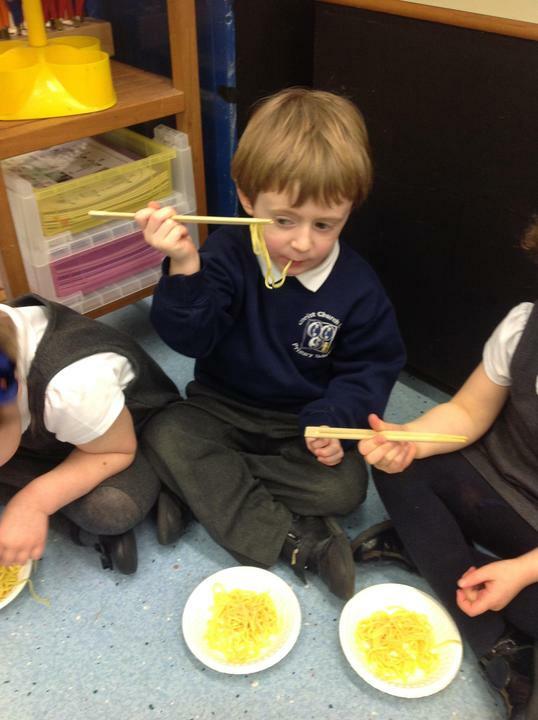 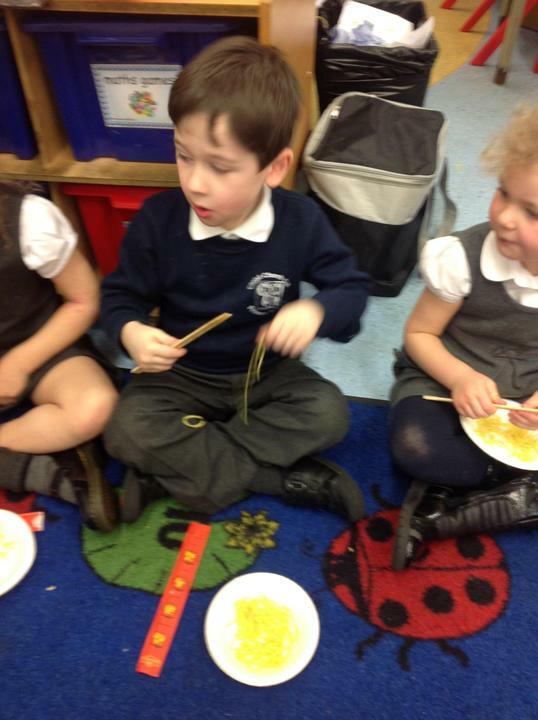 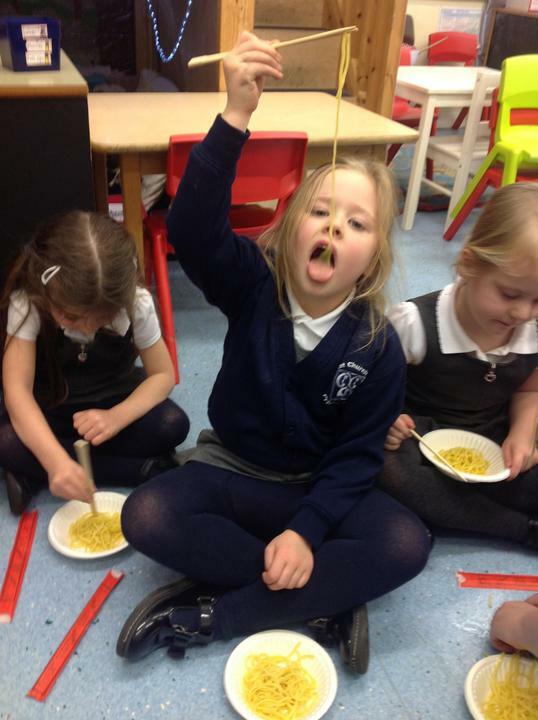 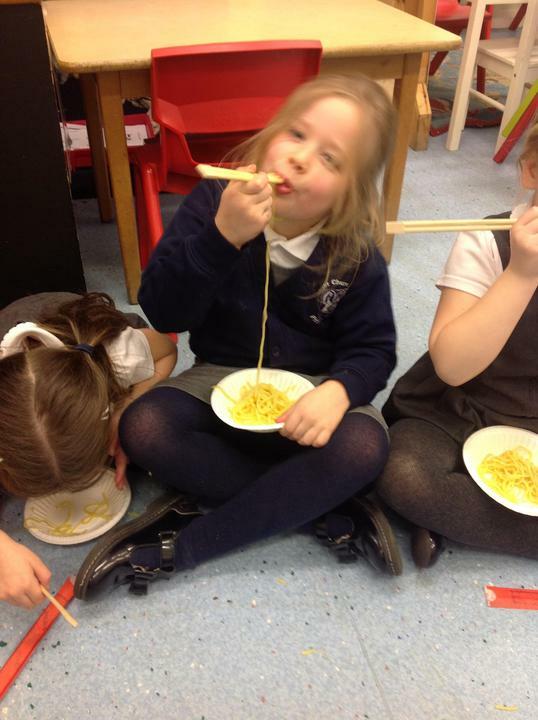 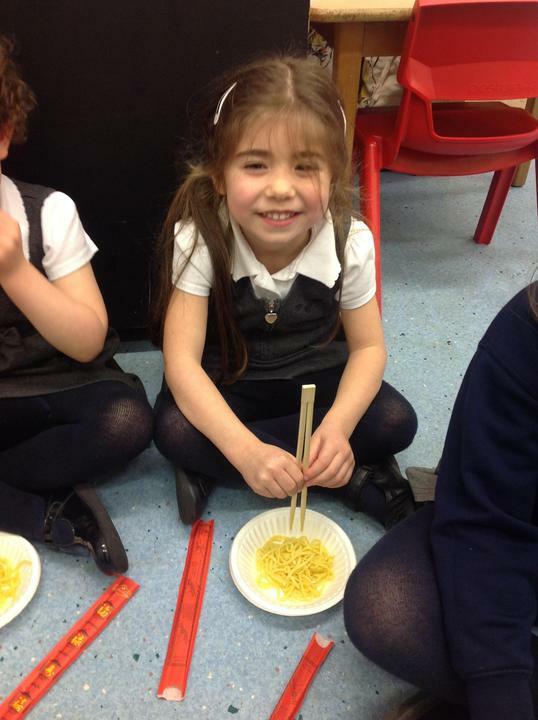 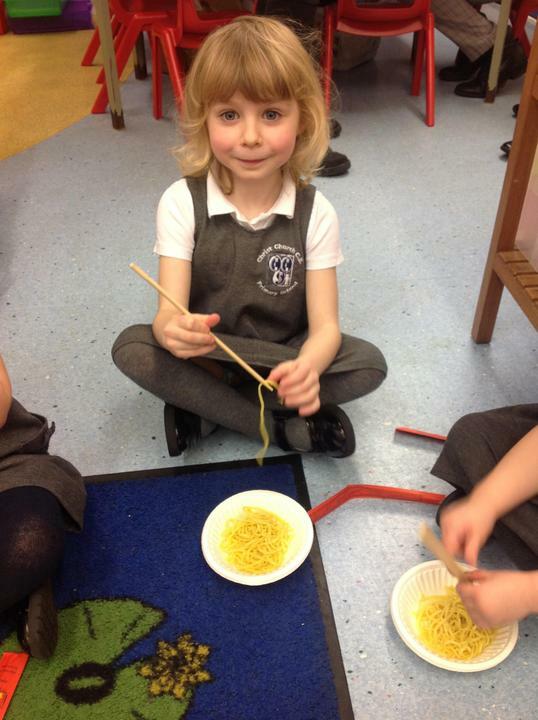 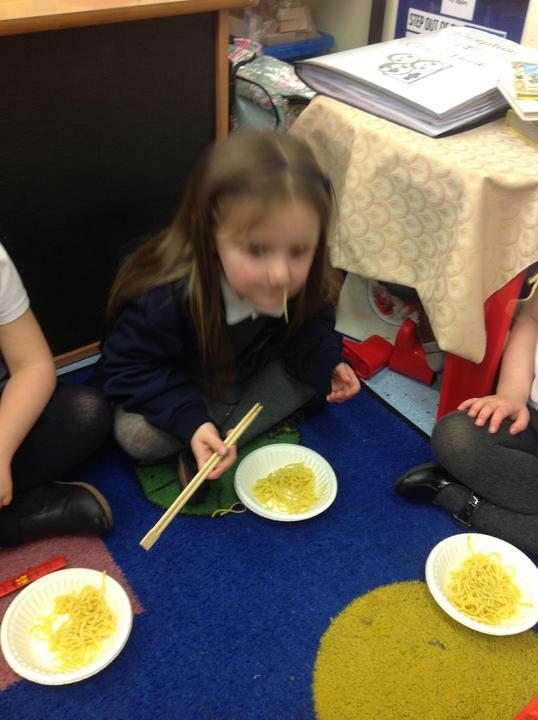 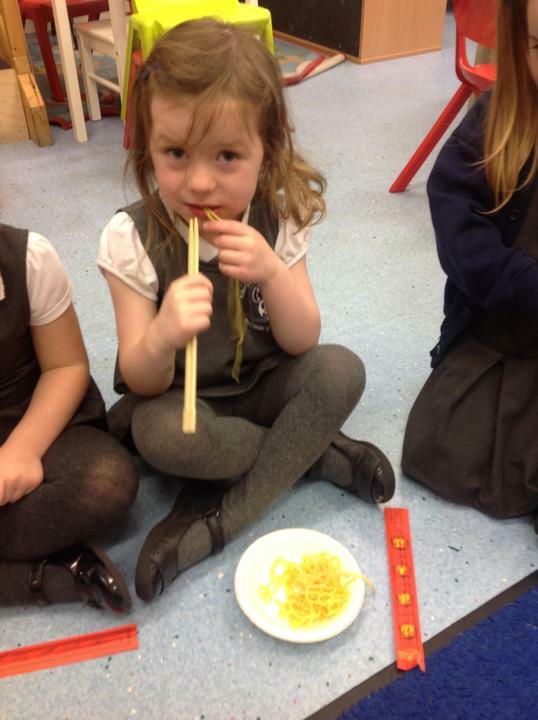 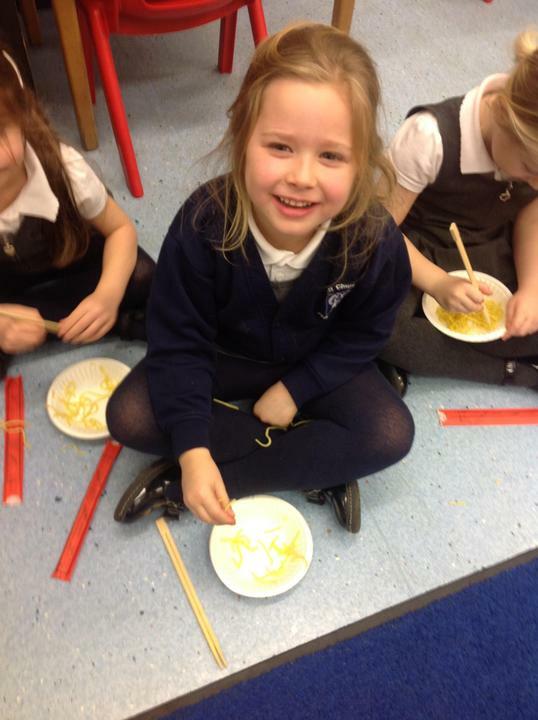 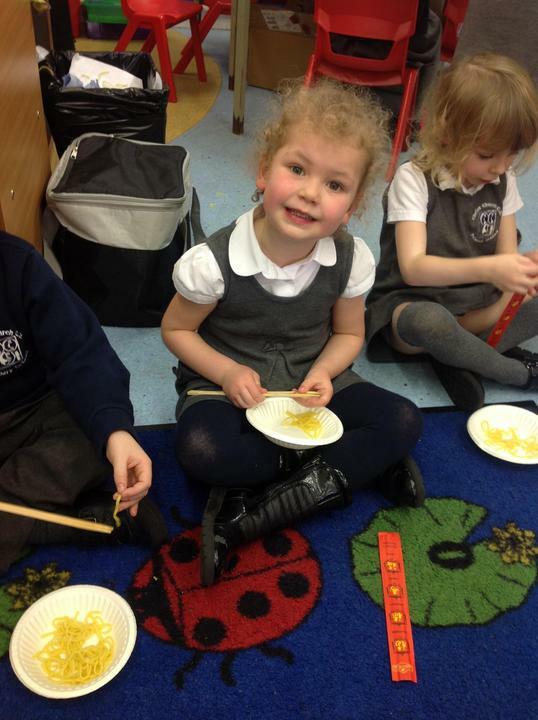 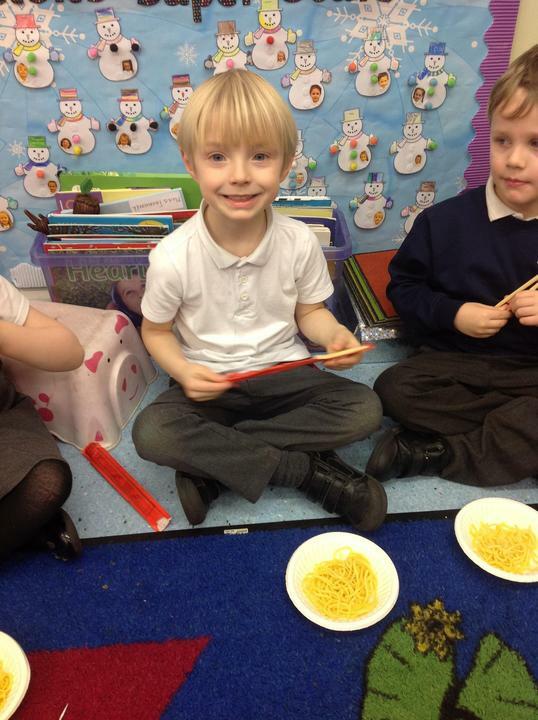 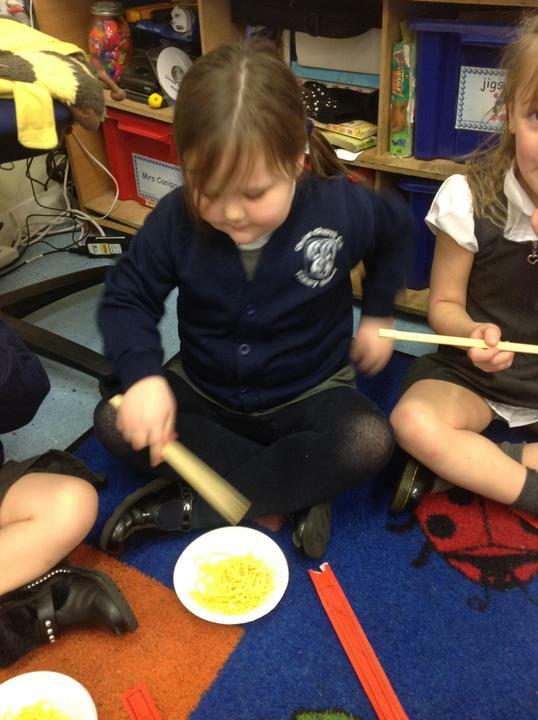 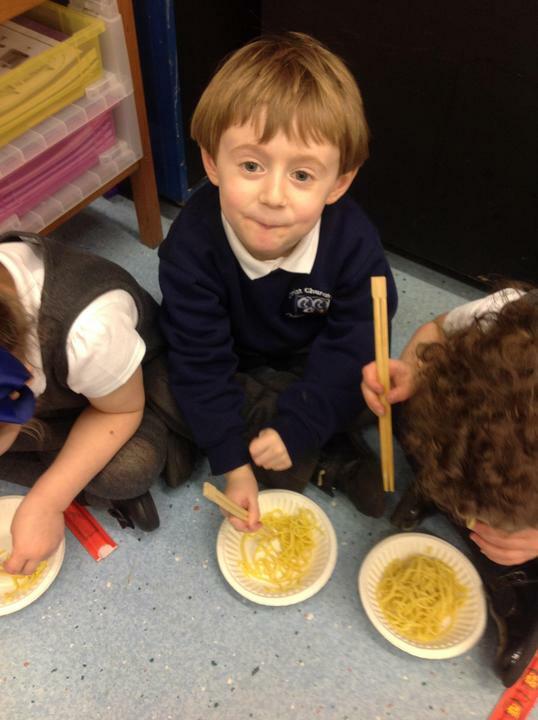 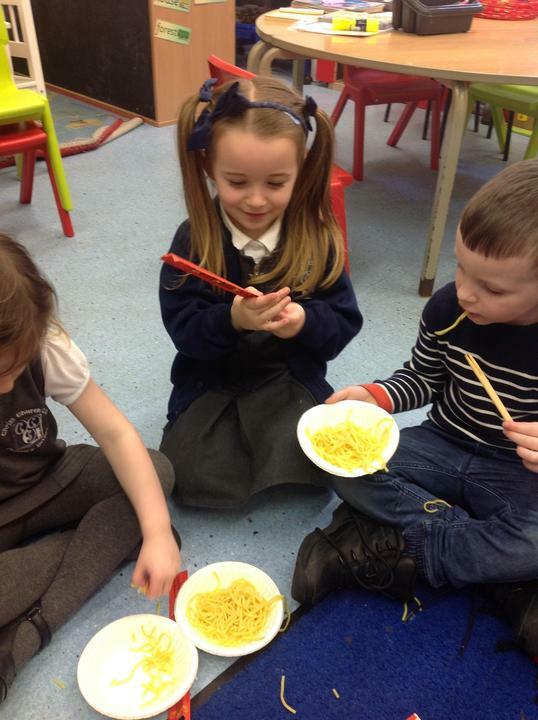 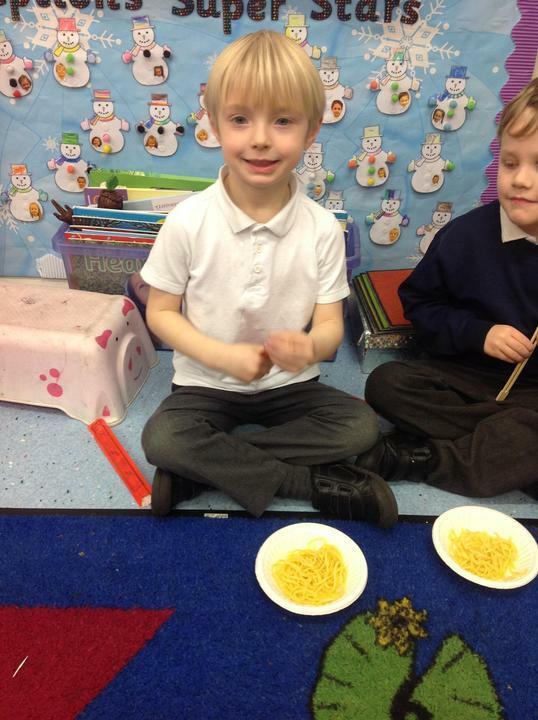 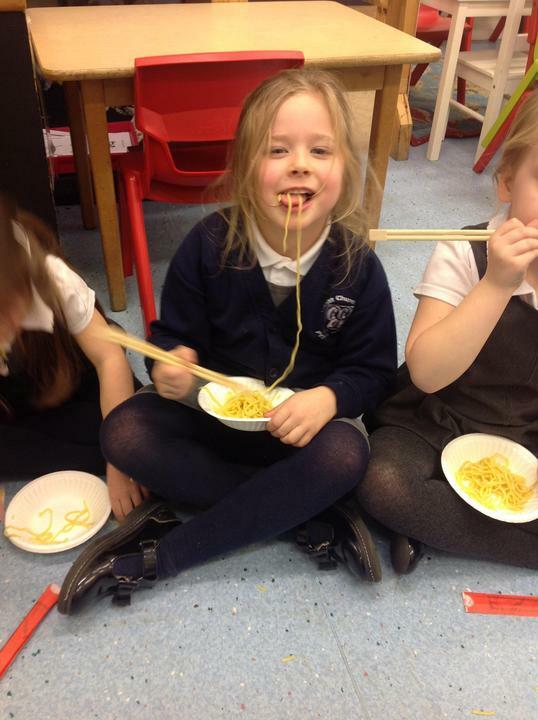 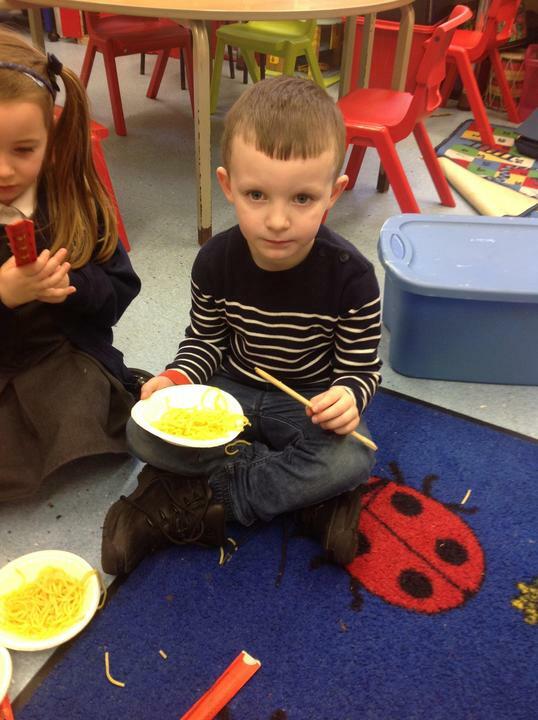 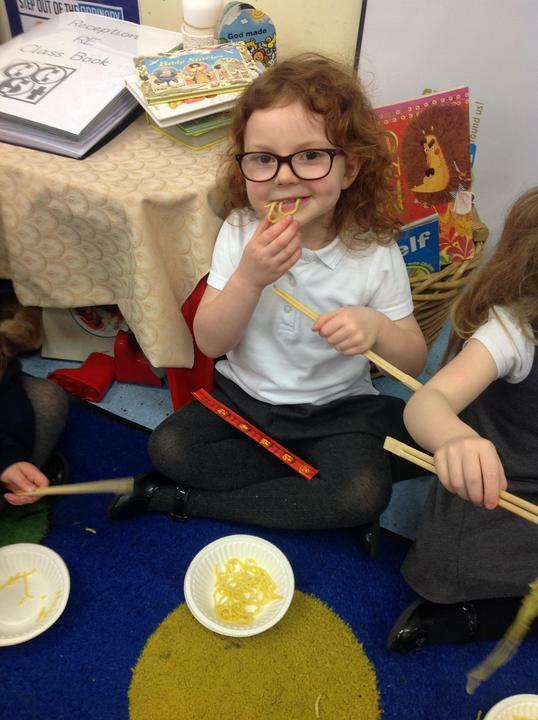 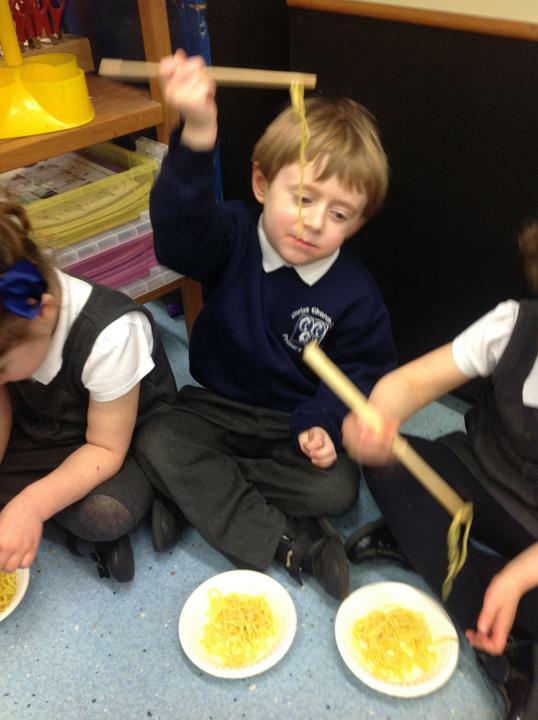 Reception enjoyed tasting noodles to celebrate Chinese New Year! 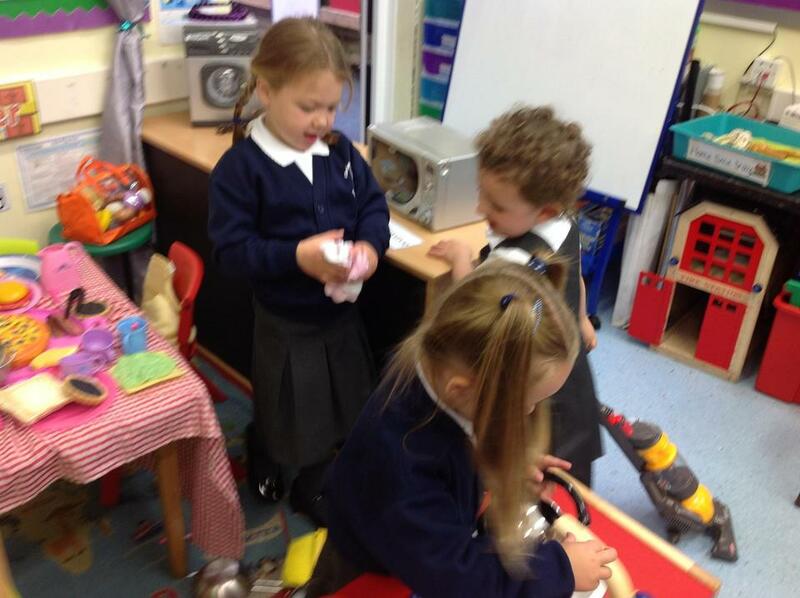 Reception brought in their favourite teddy bears as part of our 'Goldilocks and the Three Bears' topic. 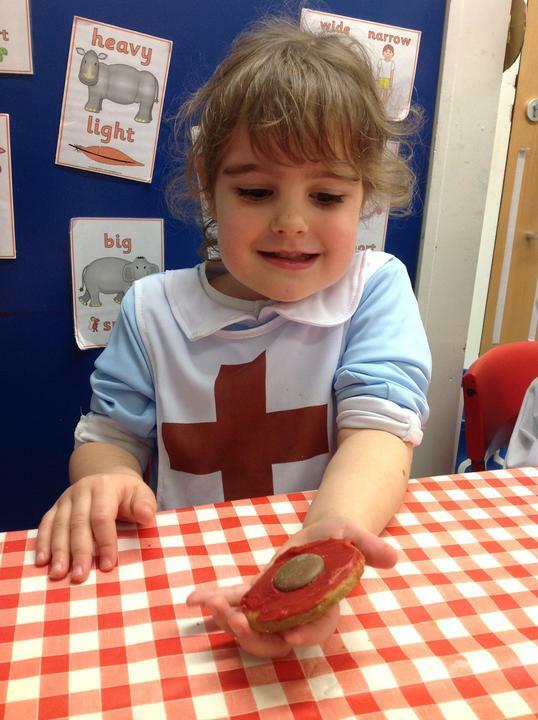 I've made a little poppy as red as red can be to show that I remember those who fought to set me free. 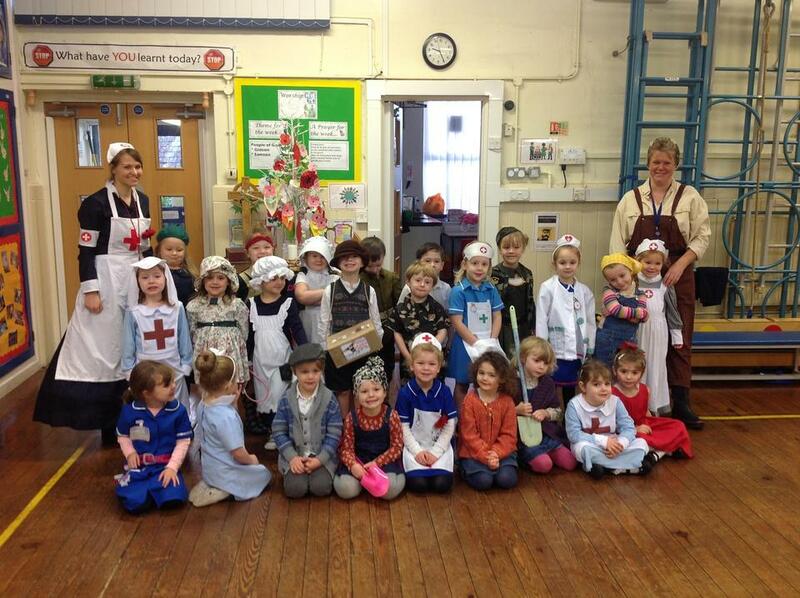 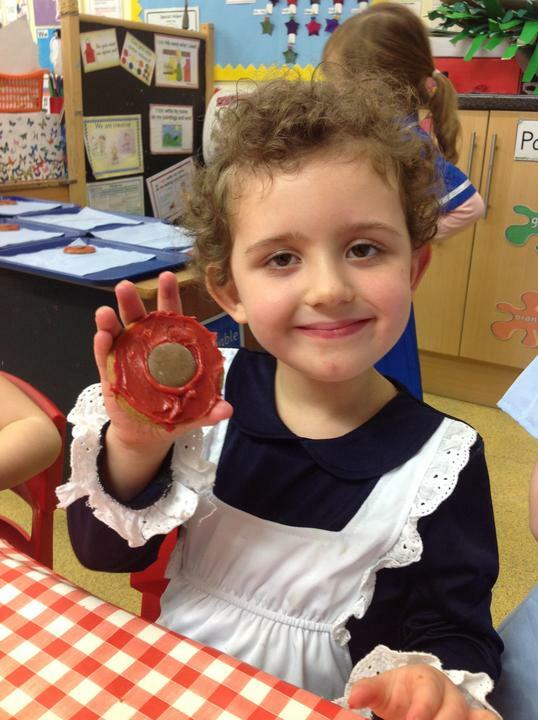 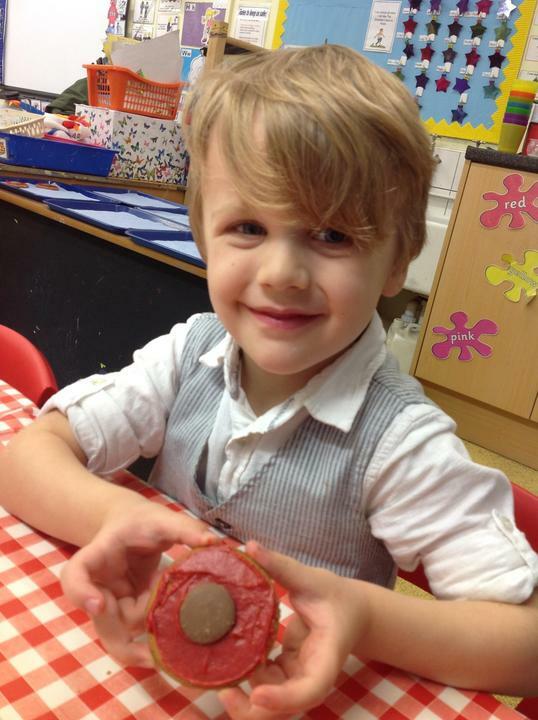 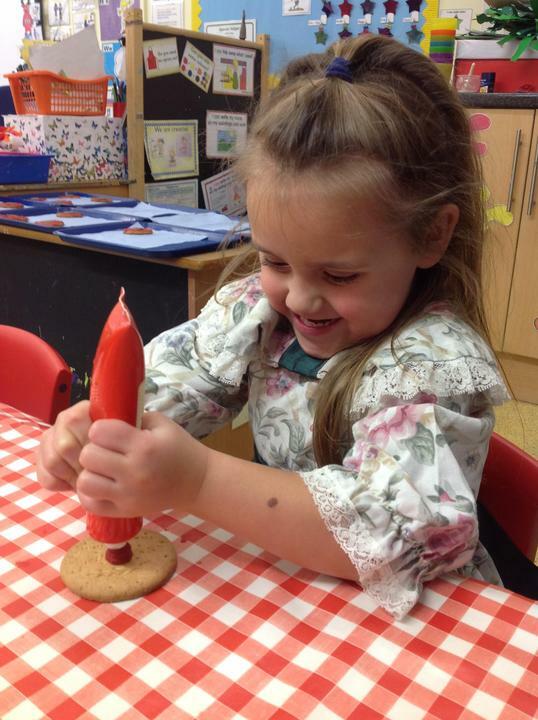 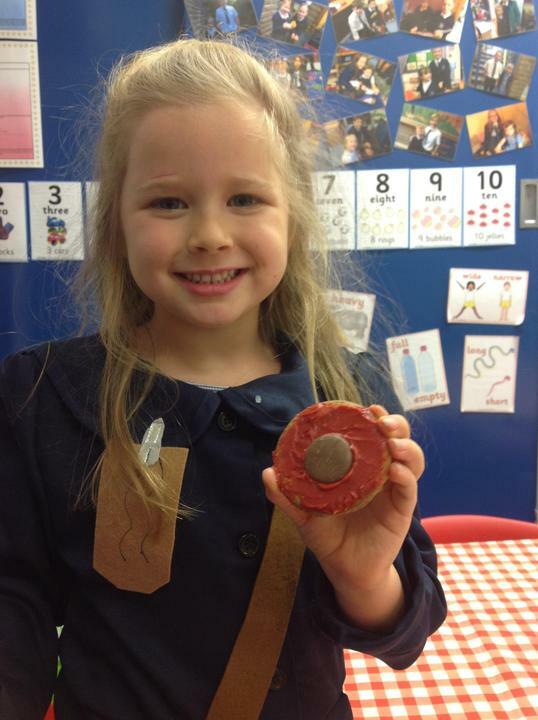 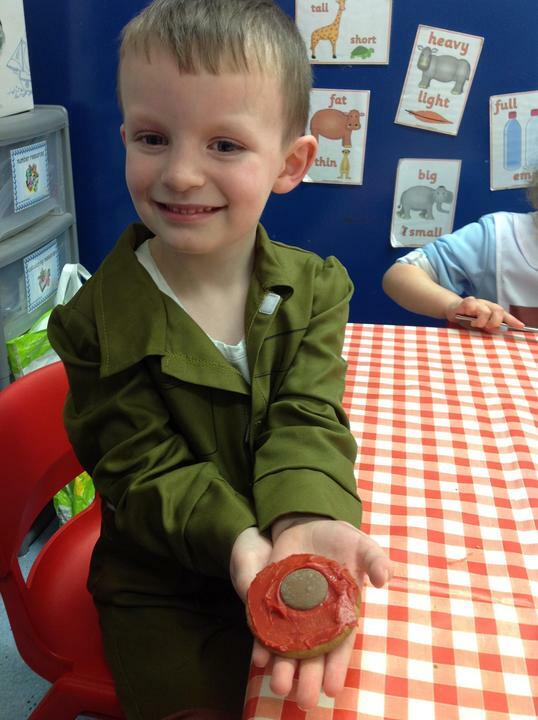 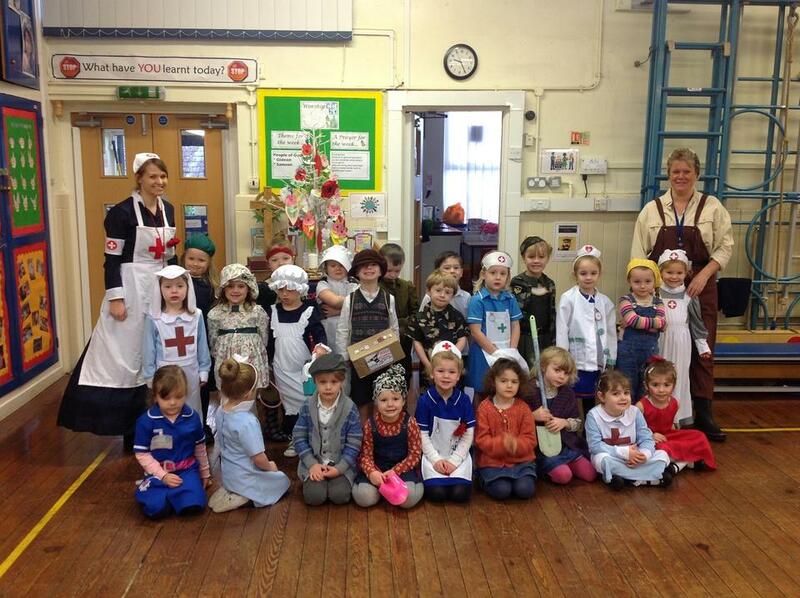 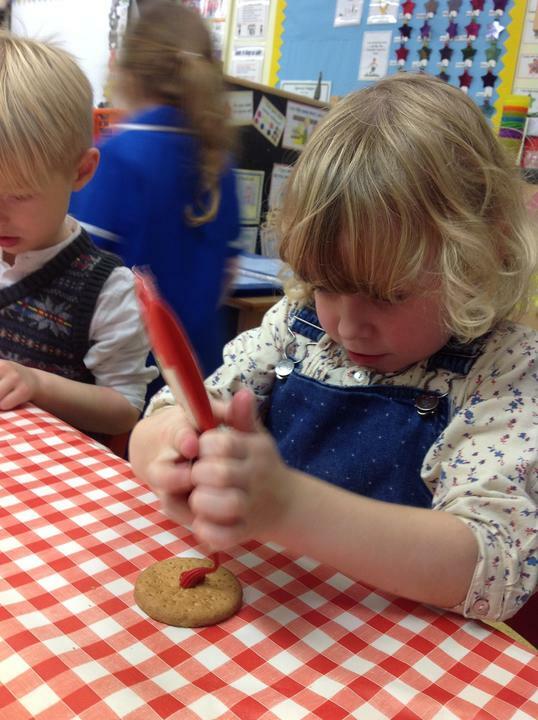 Reception have made poppies to remember the soldiers from WW1, WW2 and wars that are still going on today. 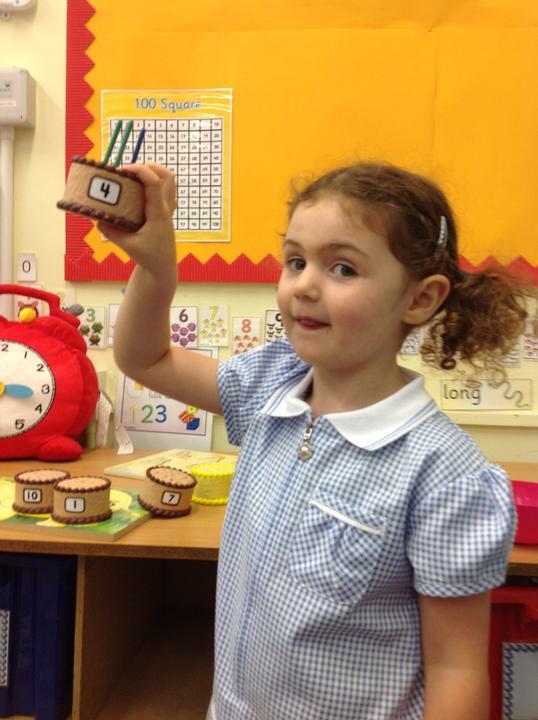 Here are all the sounds that Reception have learnt so far. 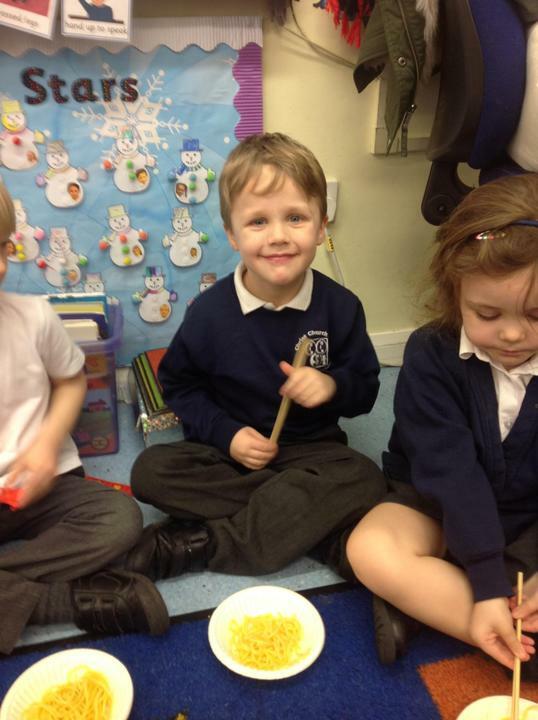 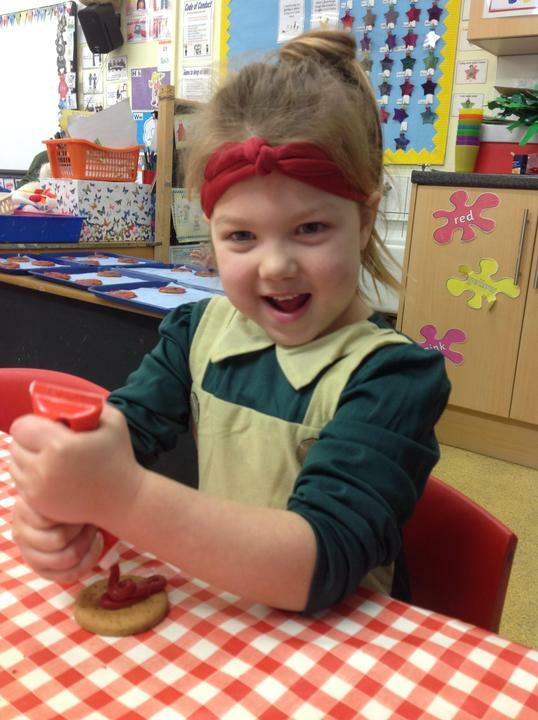 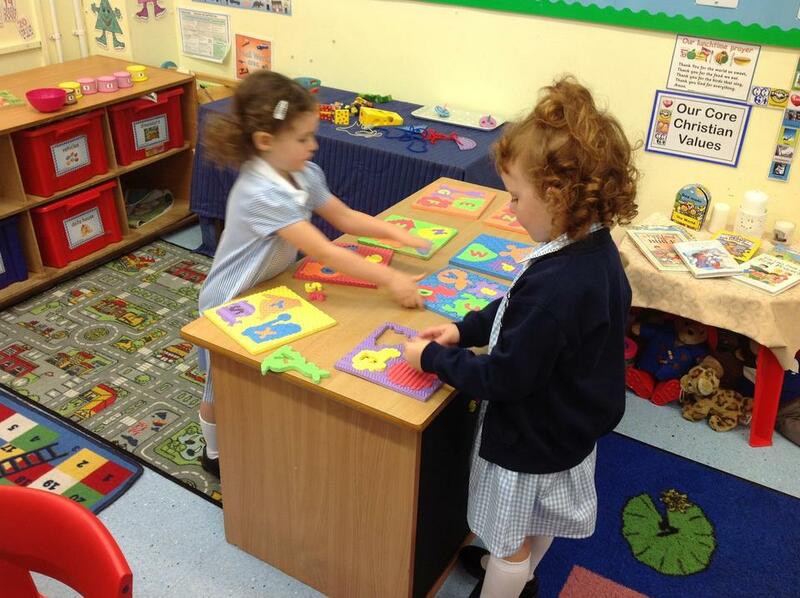 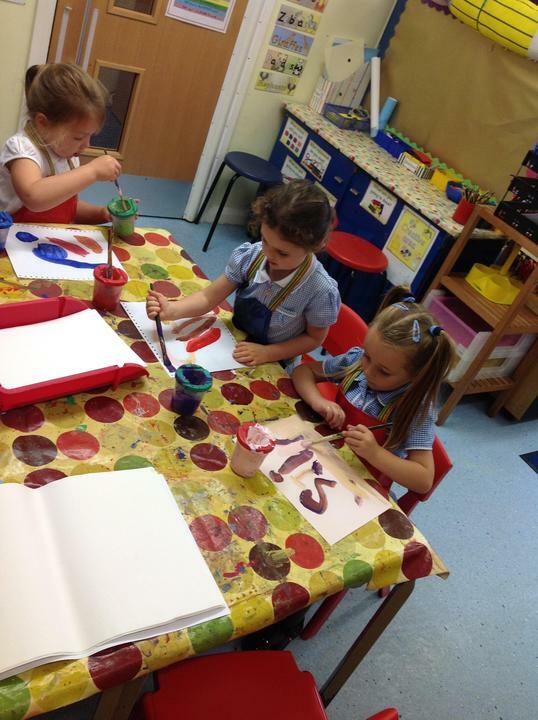 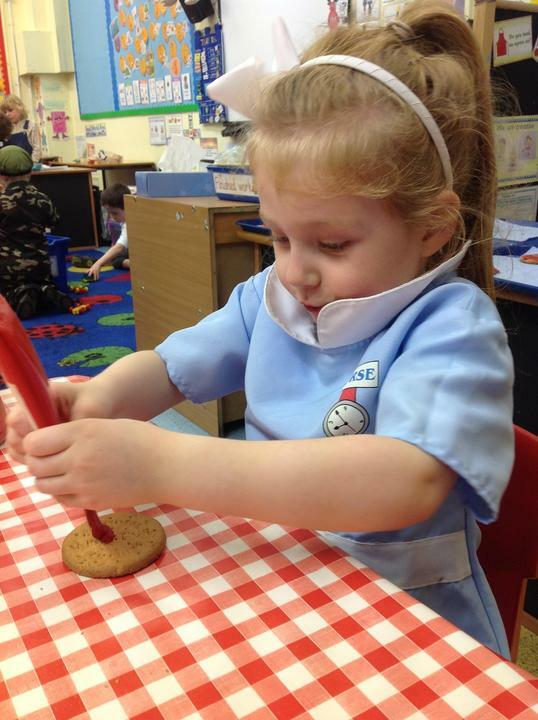 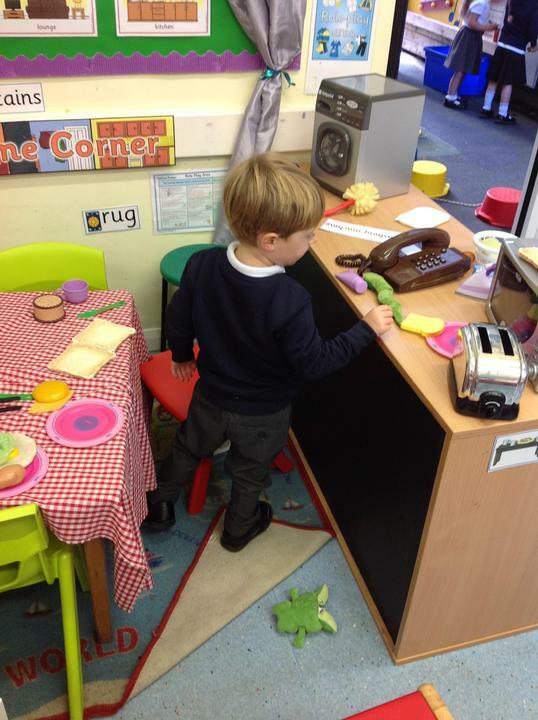 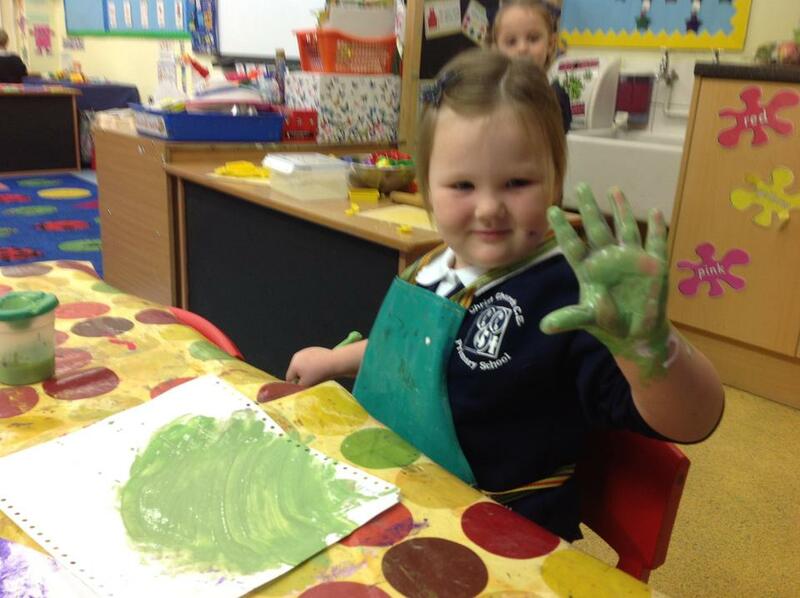 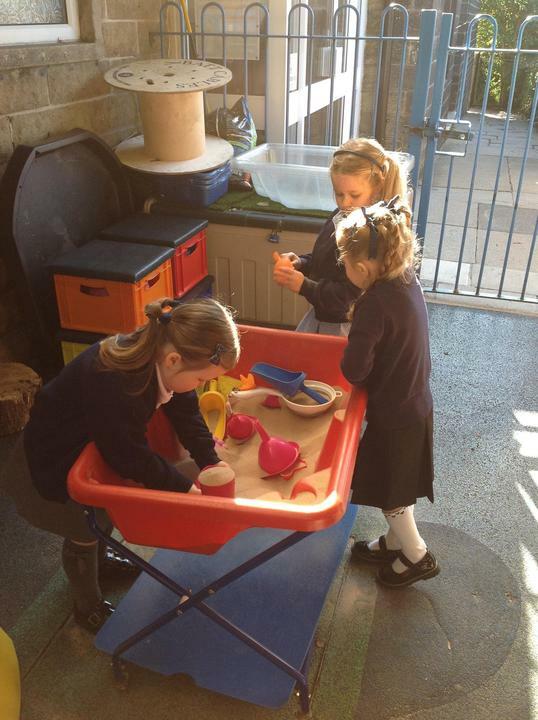 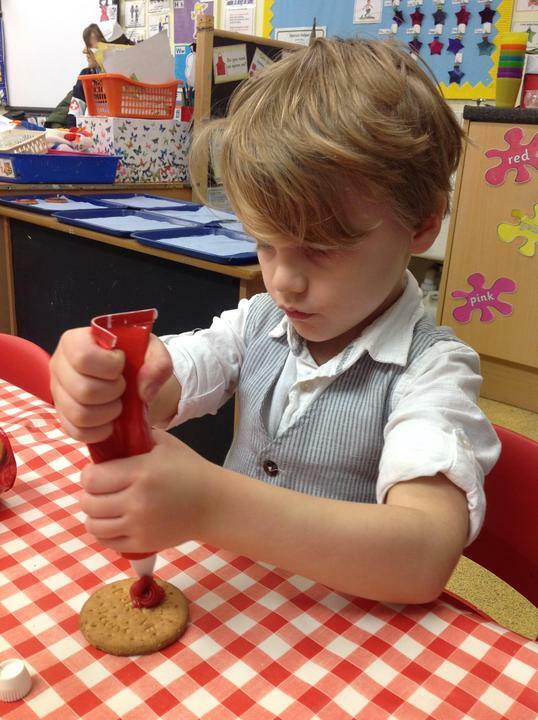 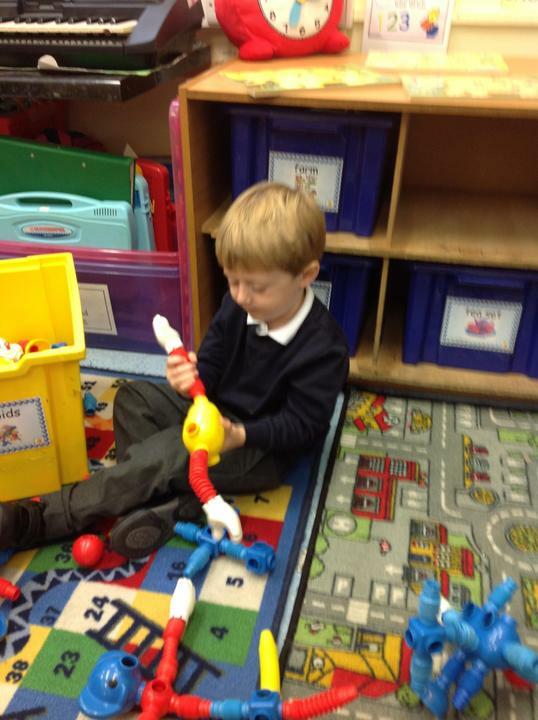 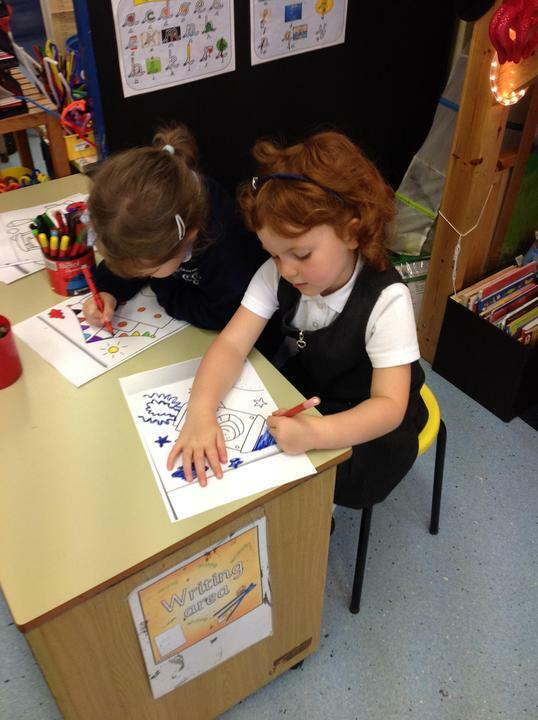 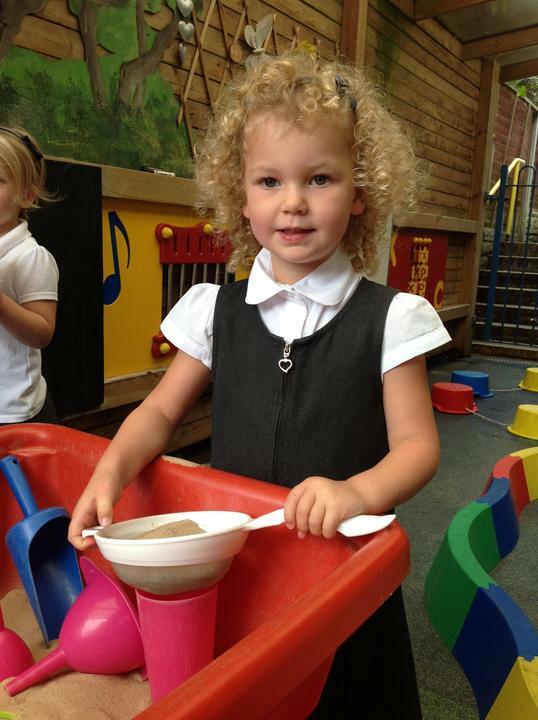 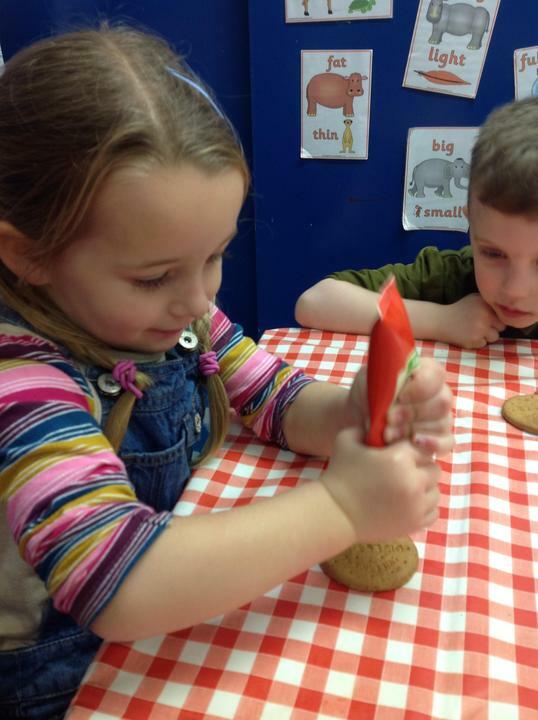 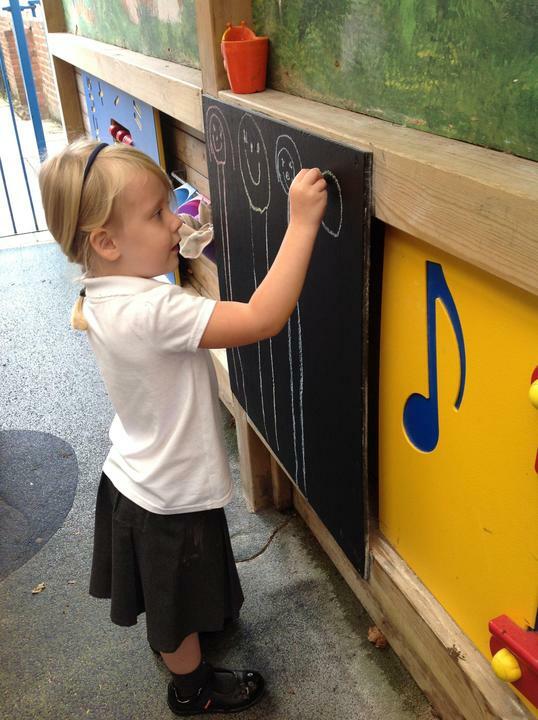 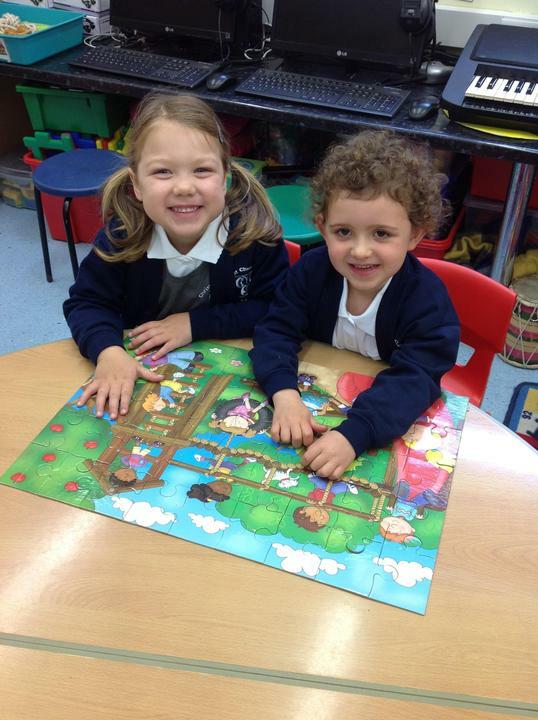 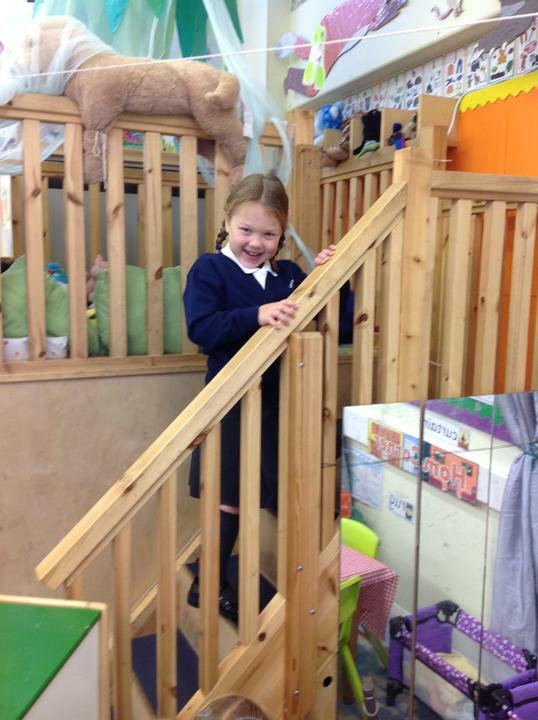 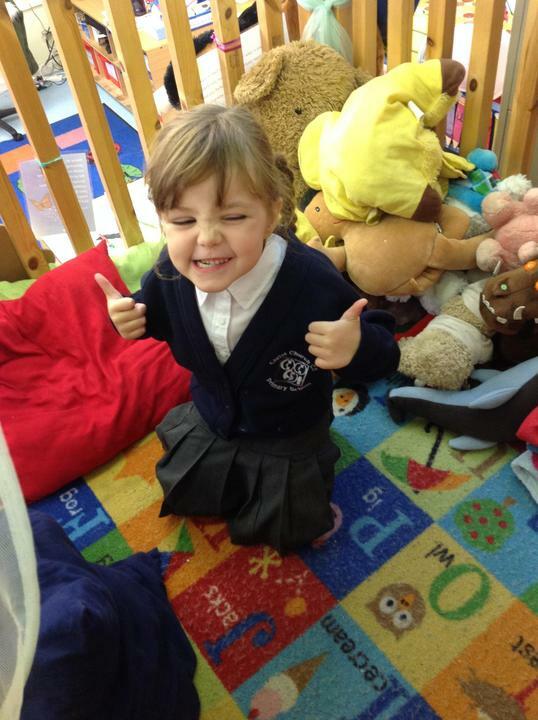 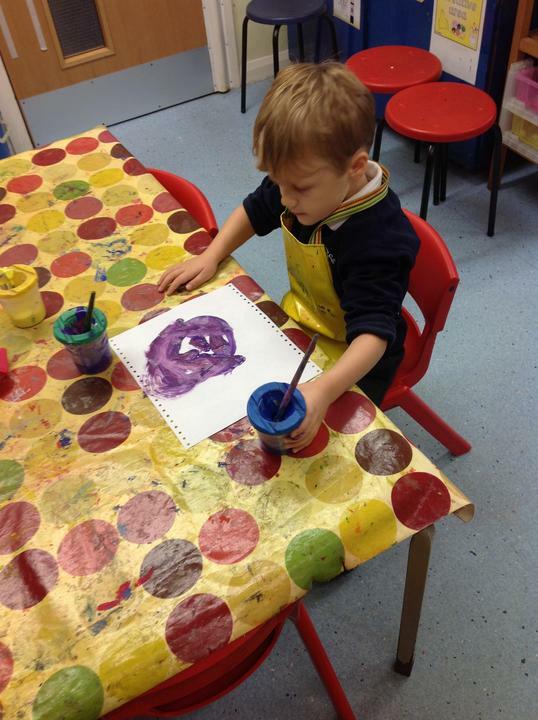 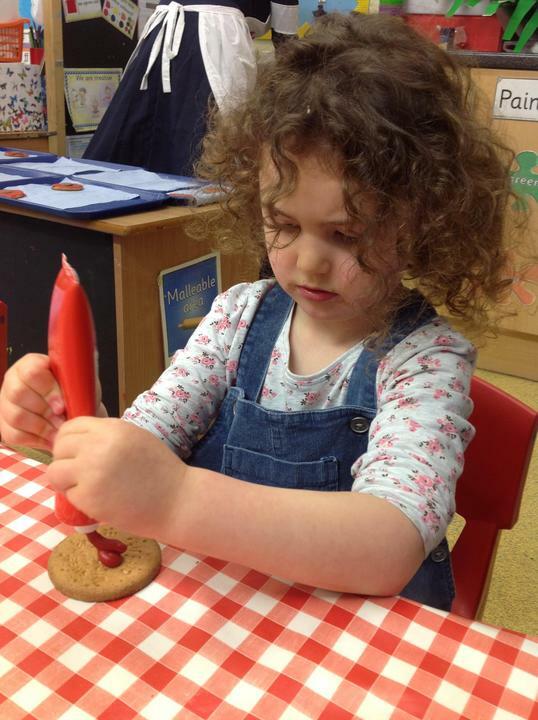 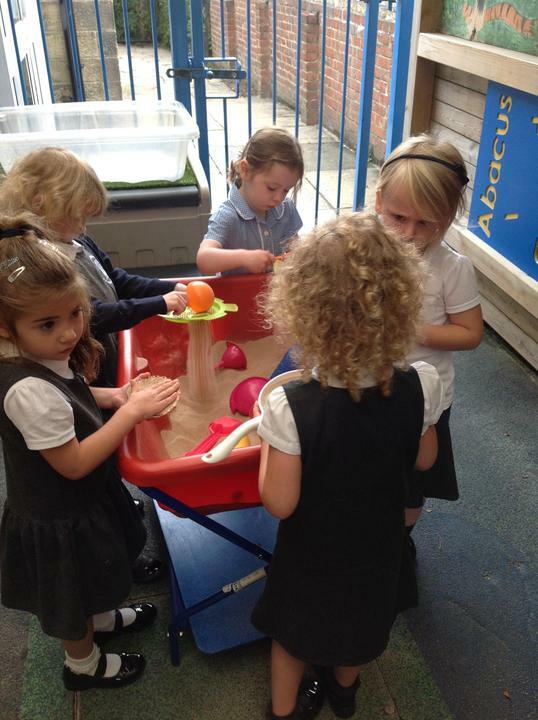 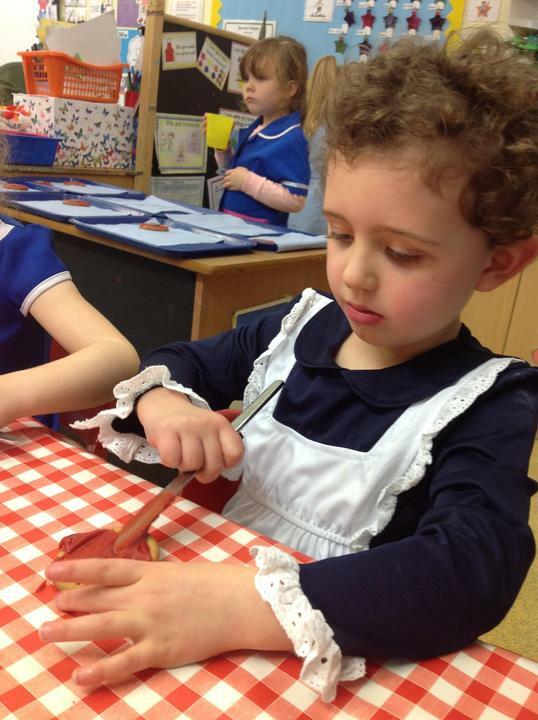 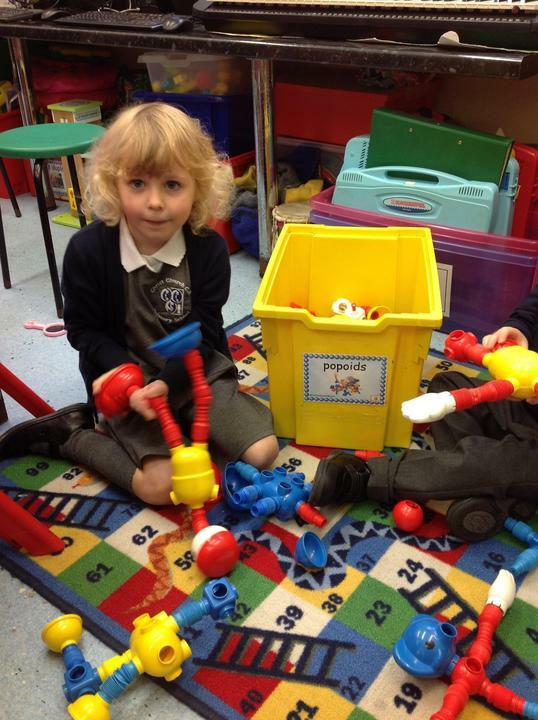 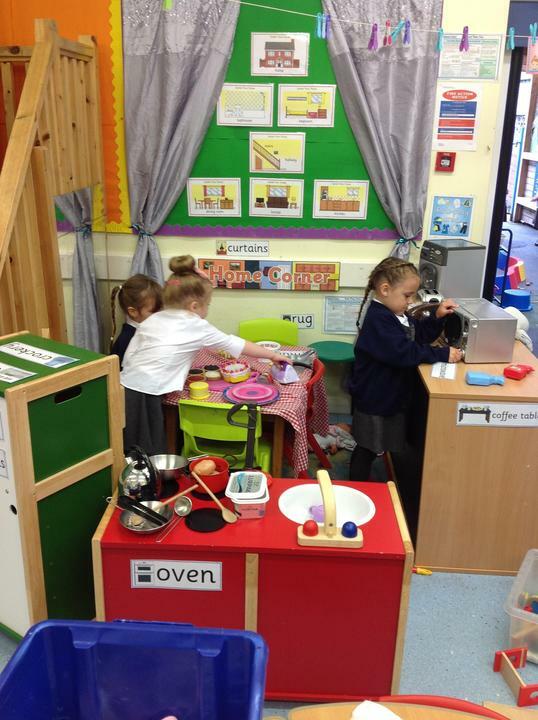 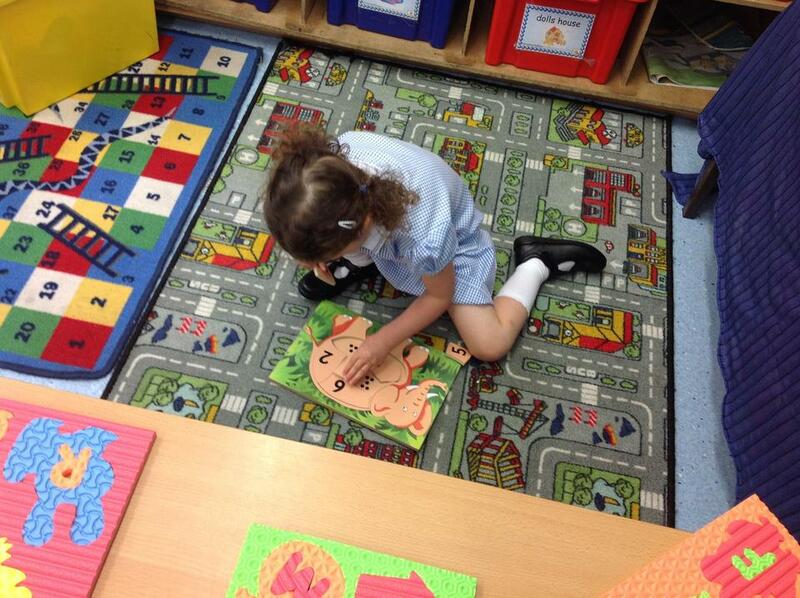 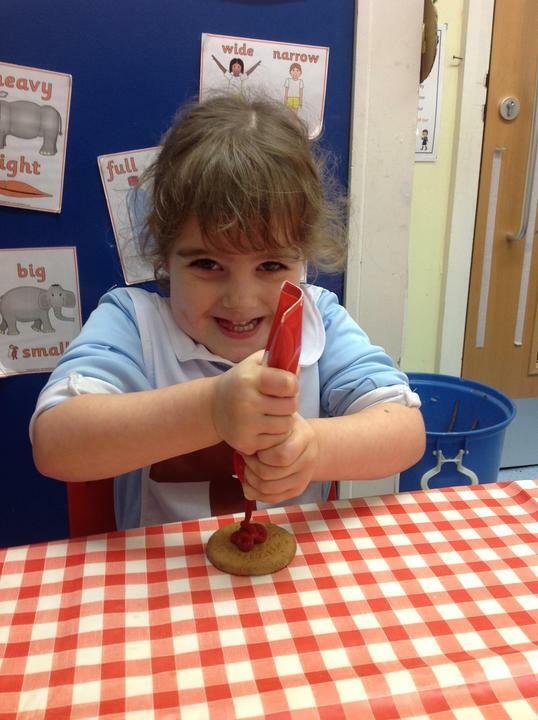 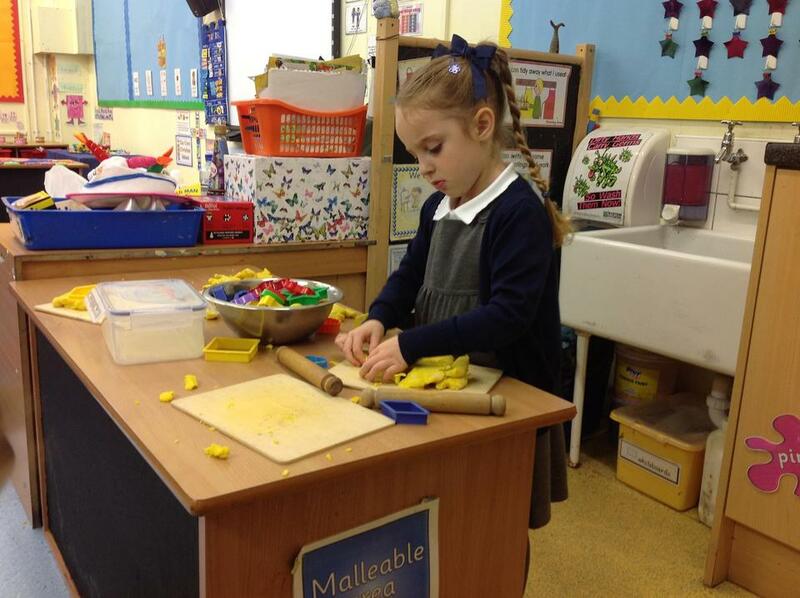 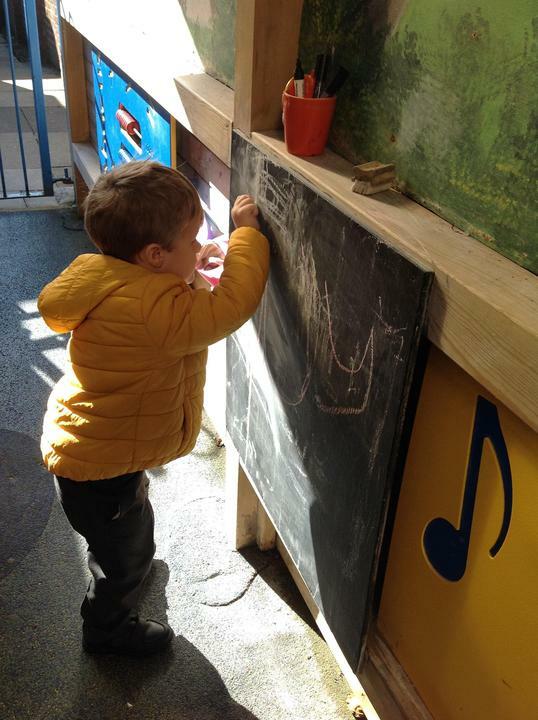 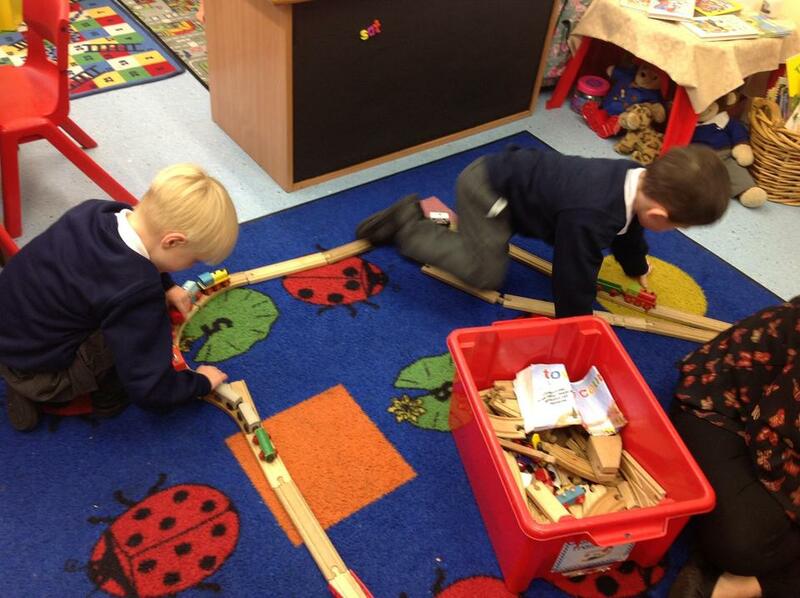 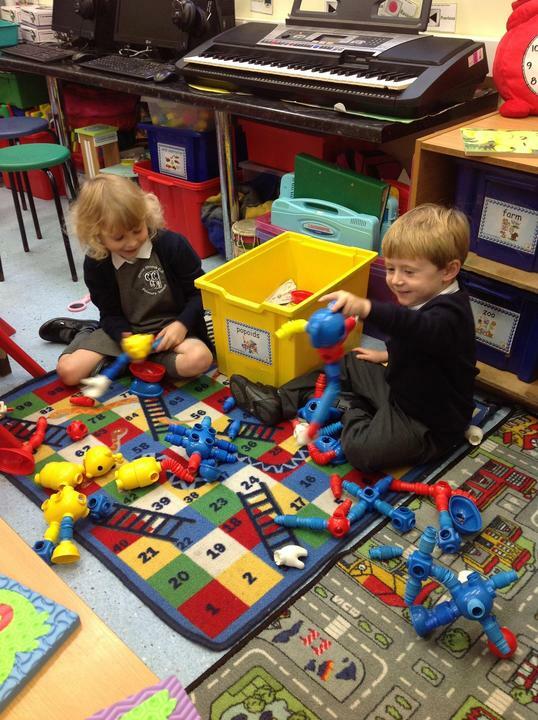 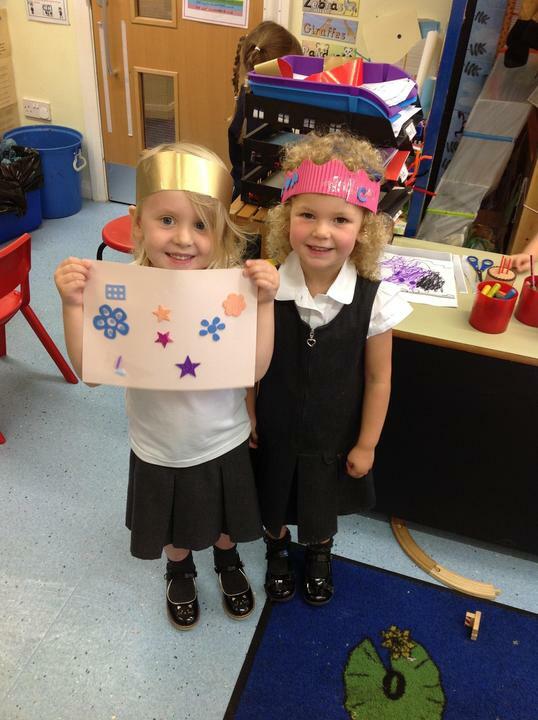 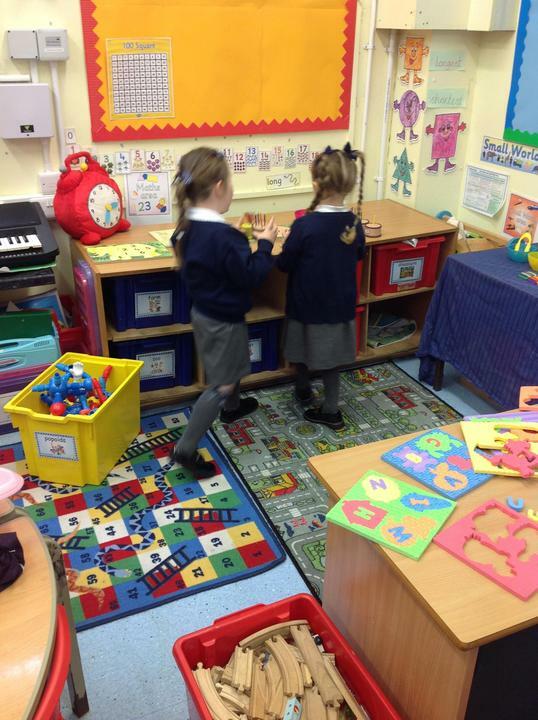 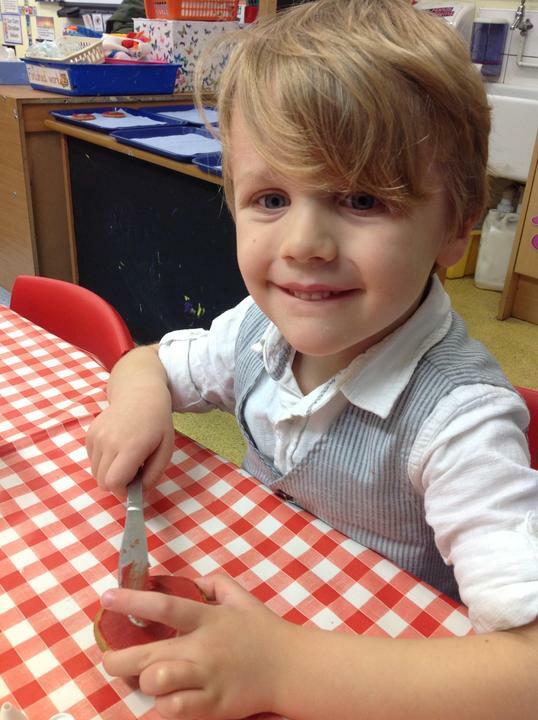 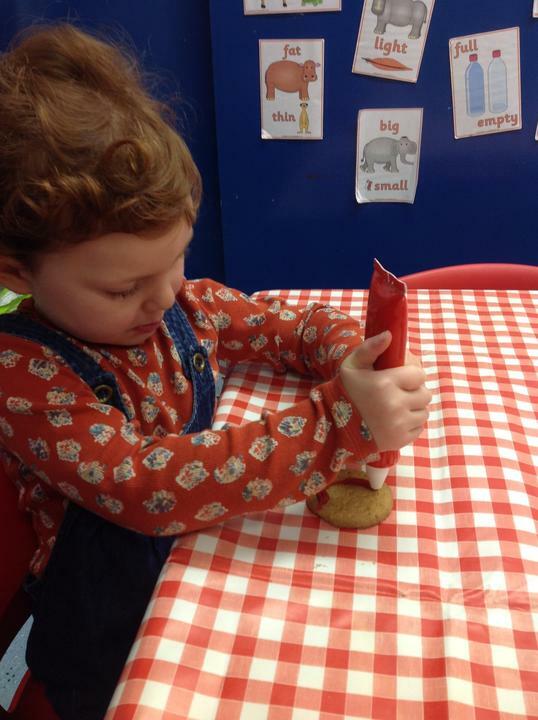 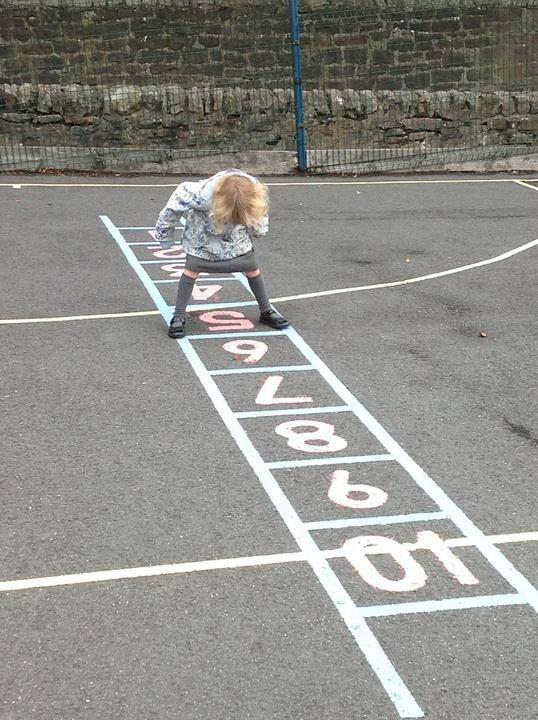 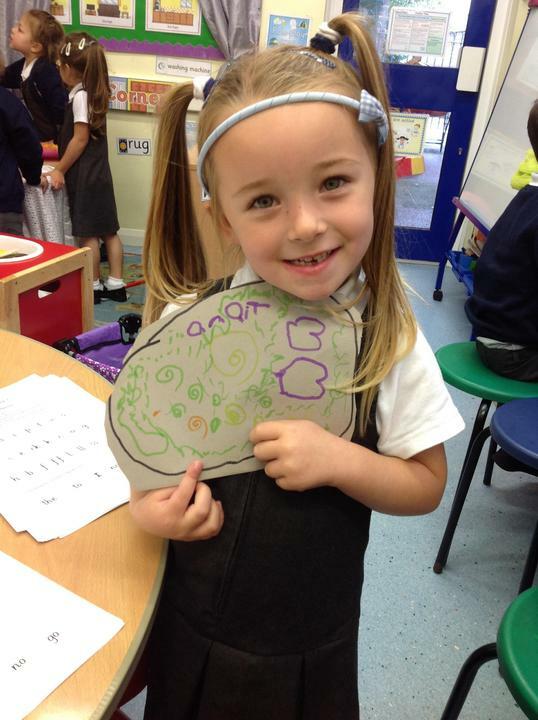 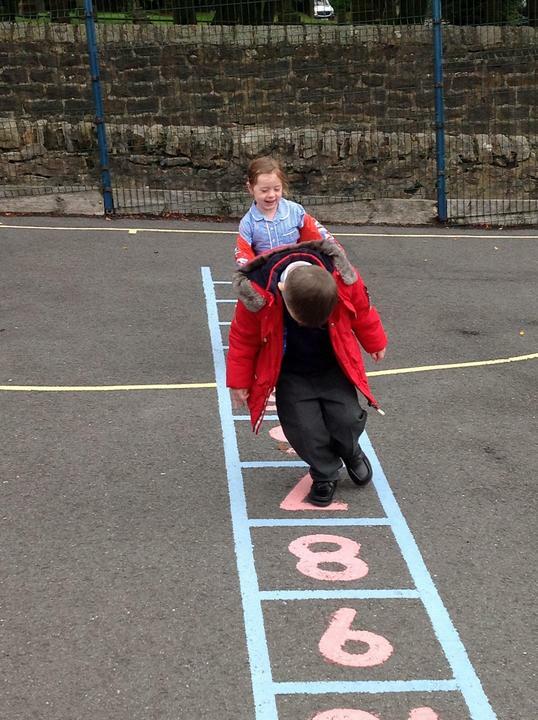 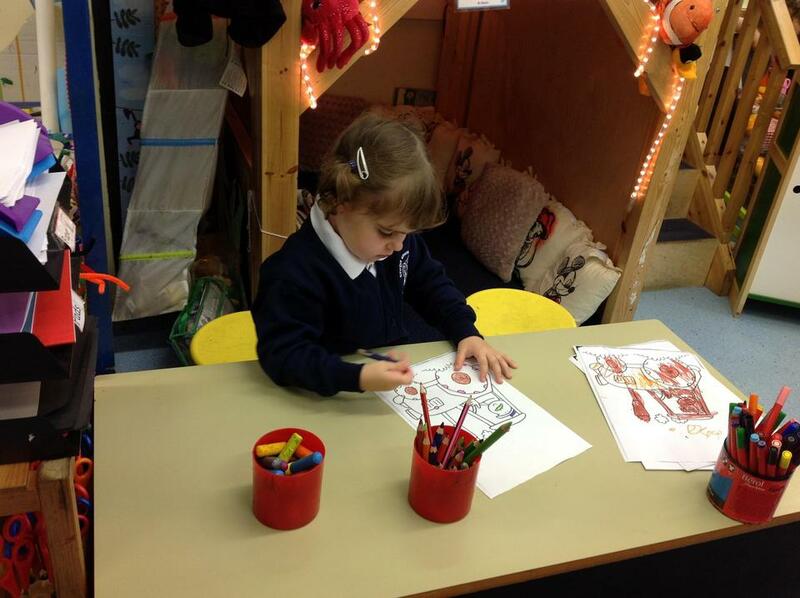 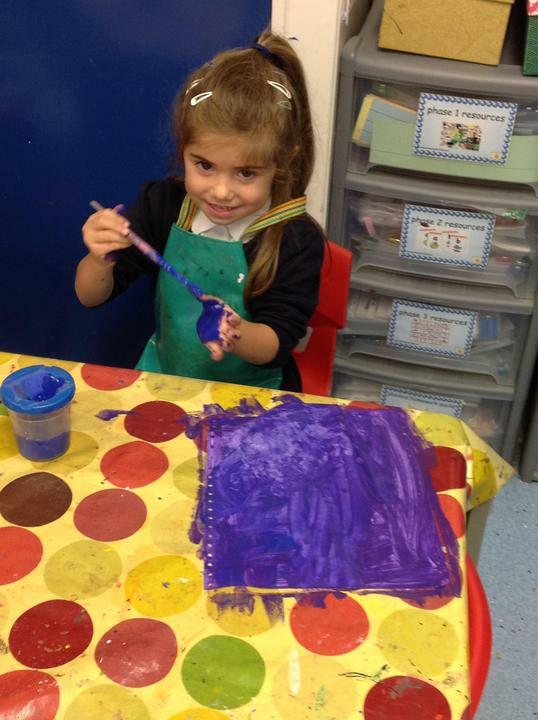 They are all doing really well with learning new sounds and the actions to go with them. 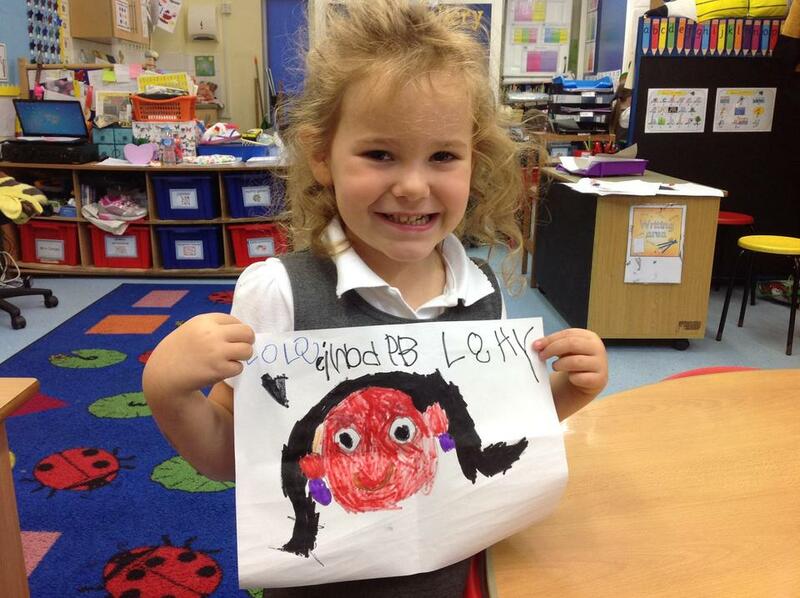 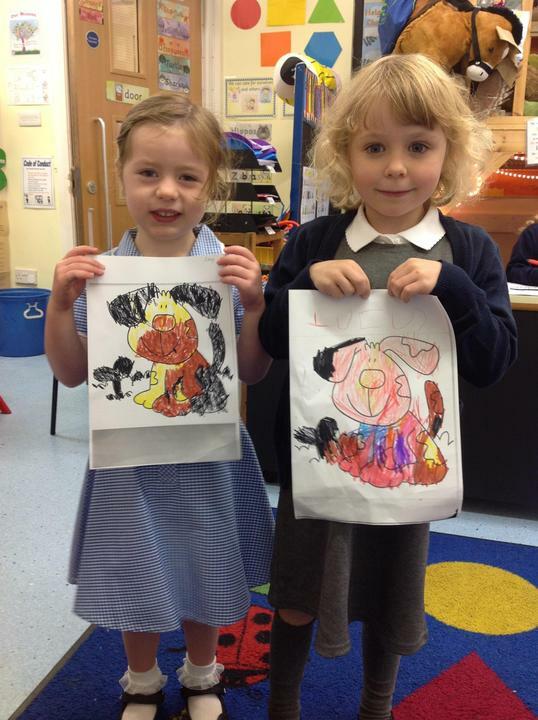 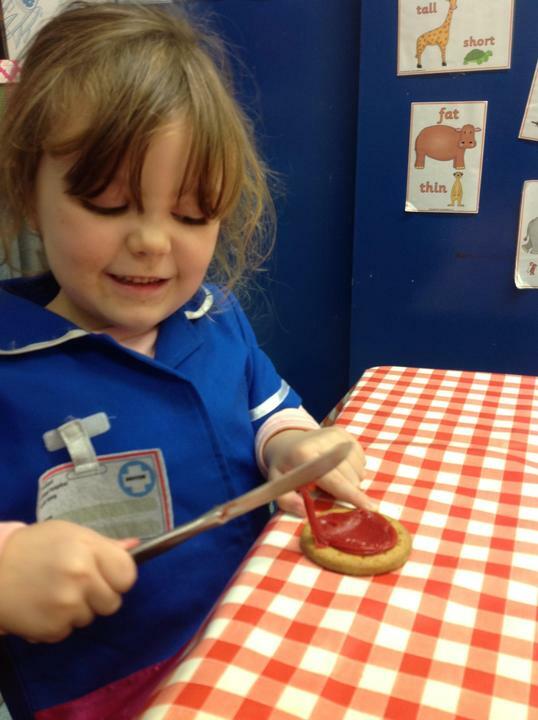 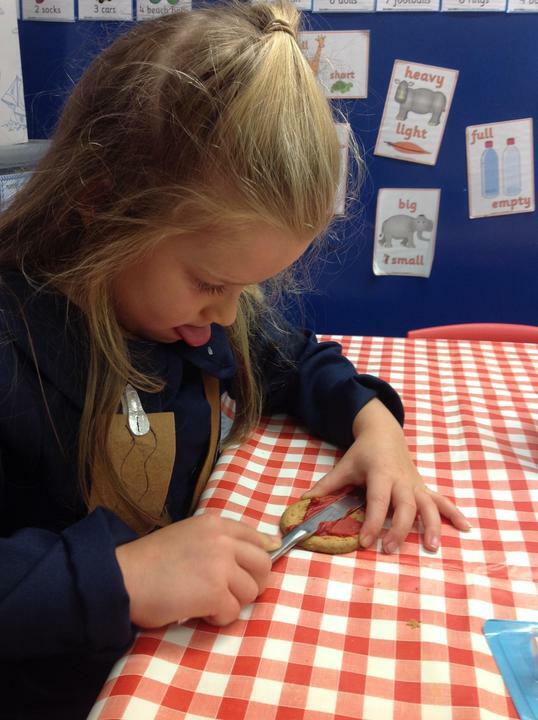 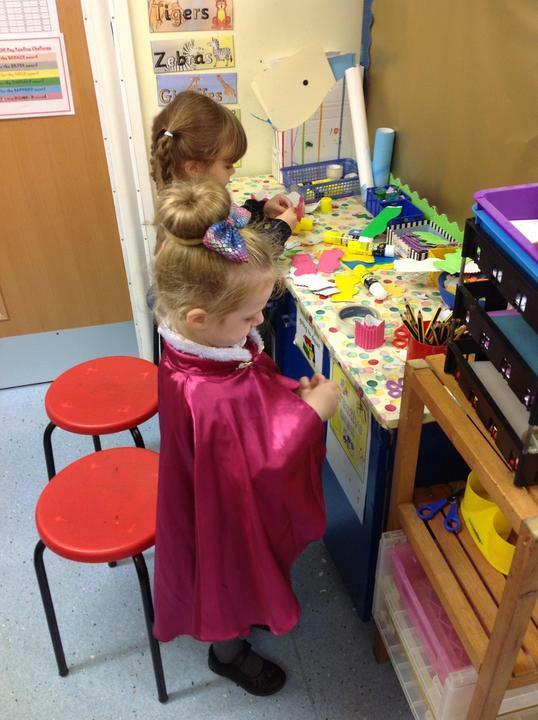 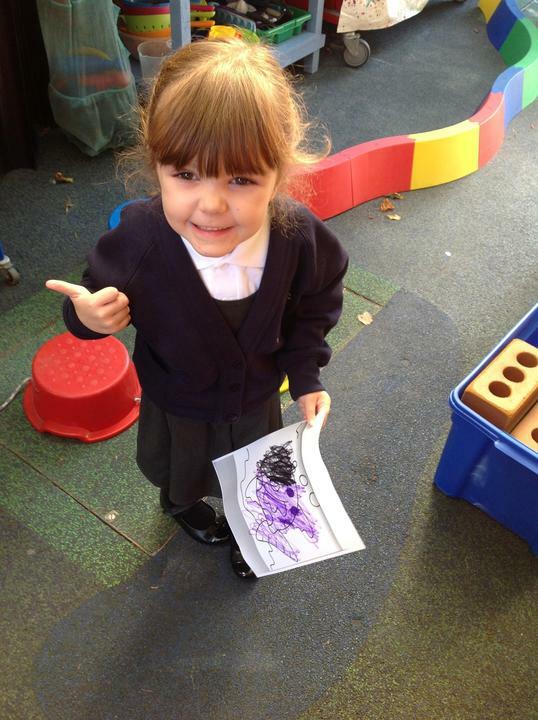 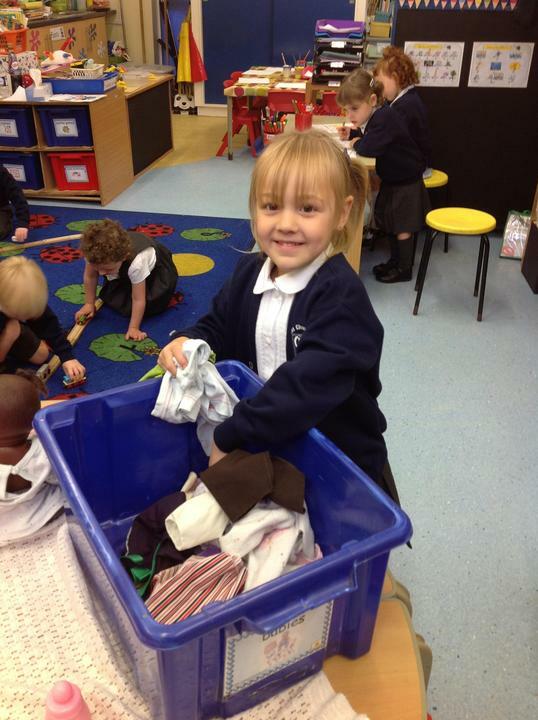 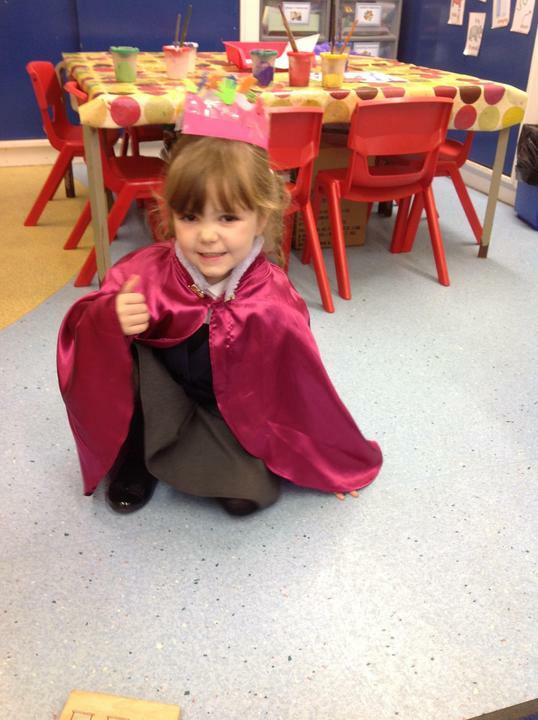 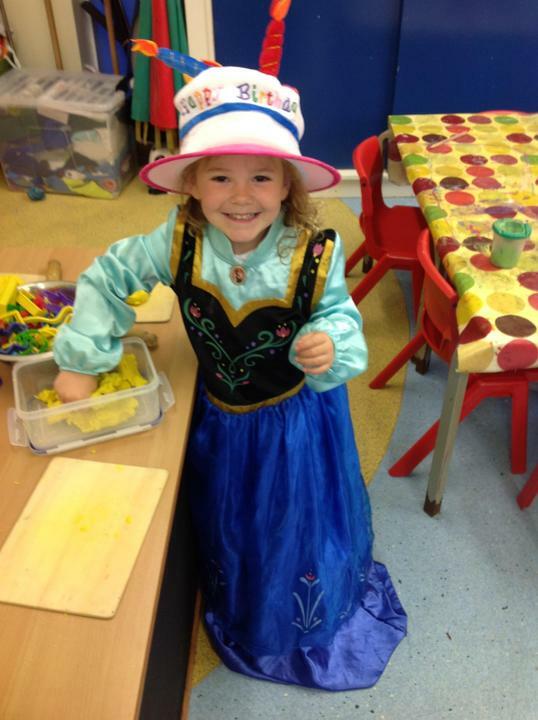 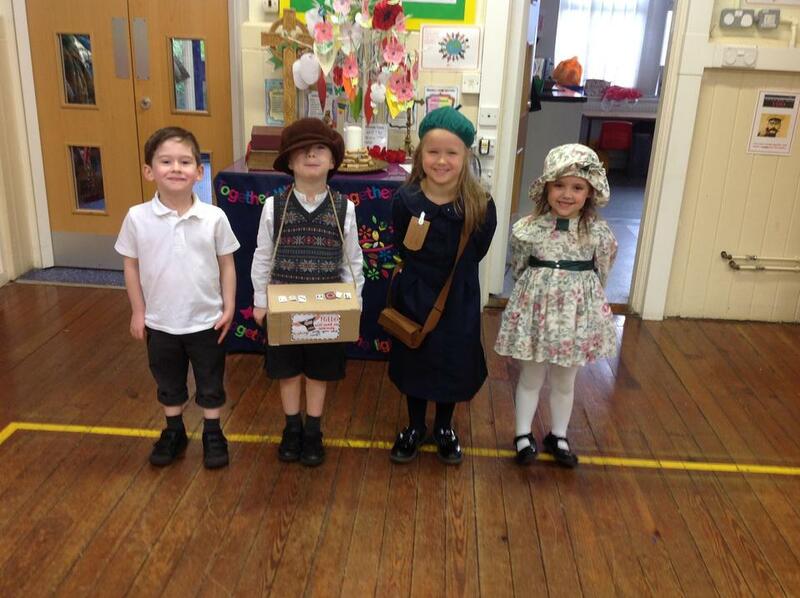 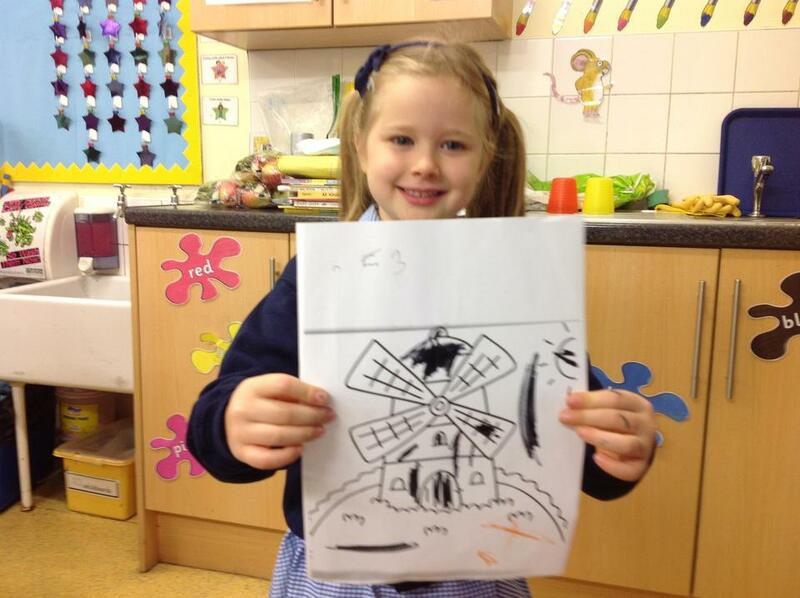 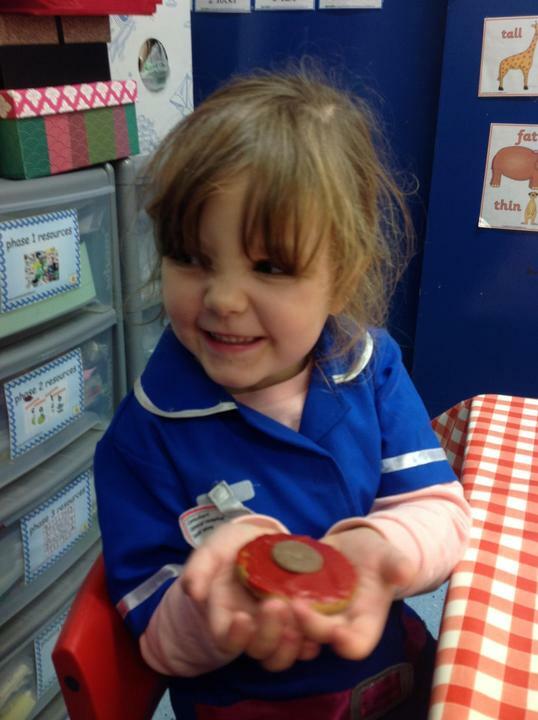 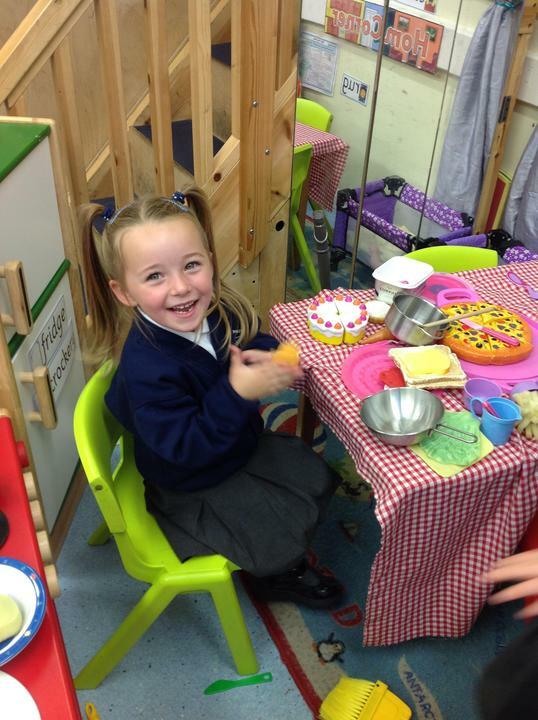 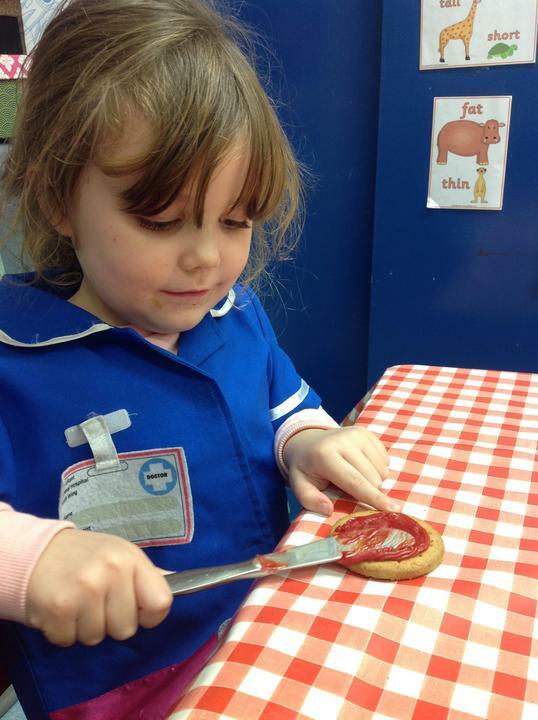 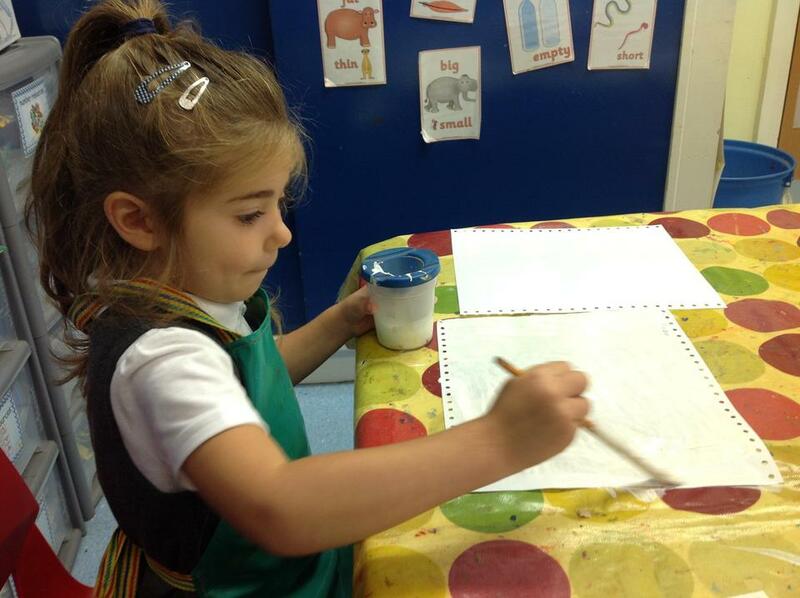 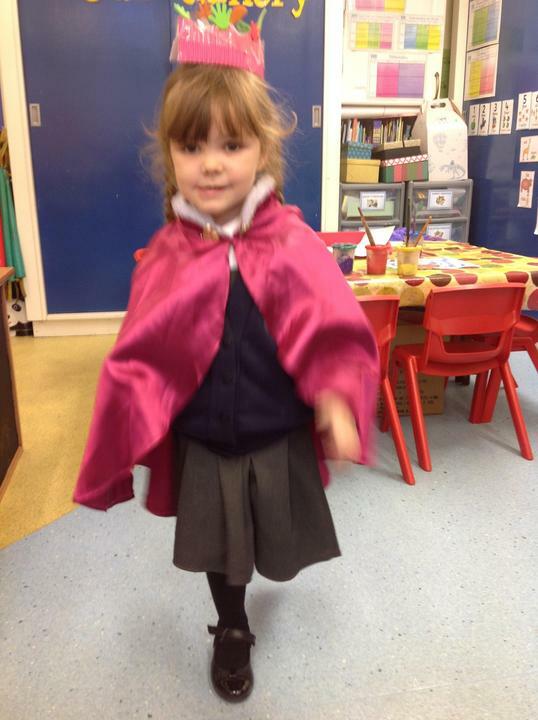 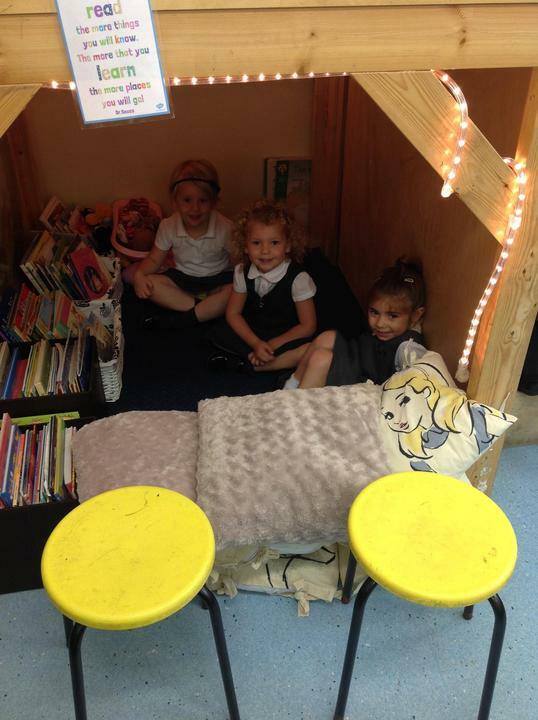 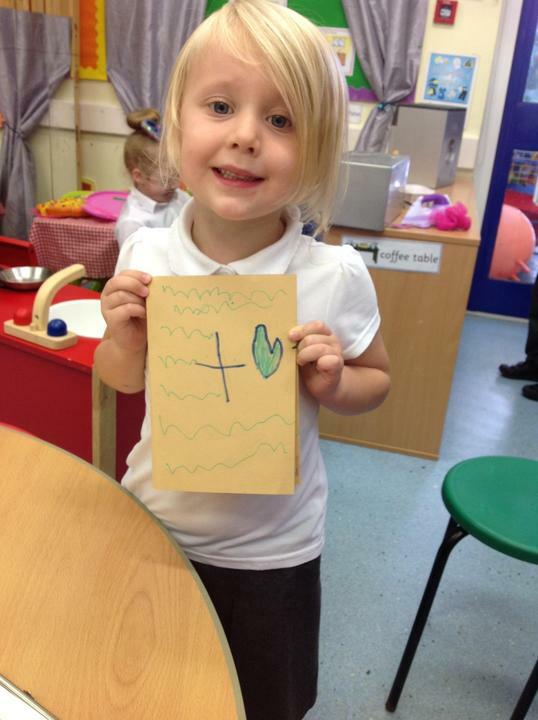 Keep up the good work Reception!